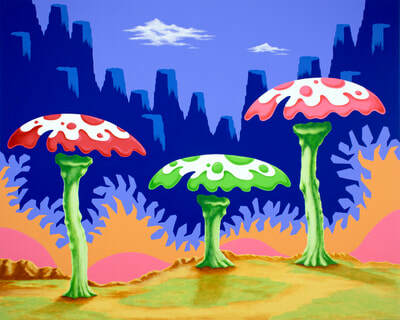 Video game assets that constitute gaming environments are significant source material for my compositions. 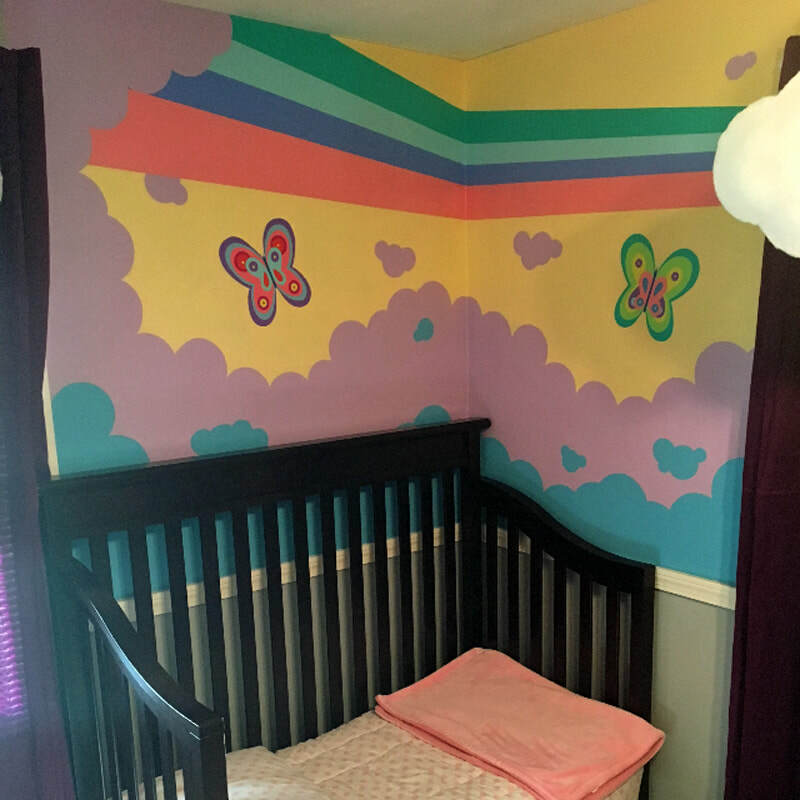 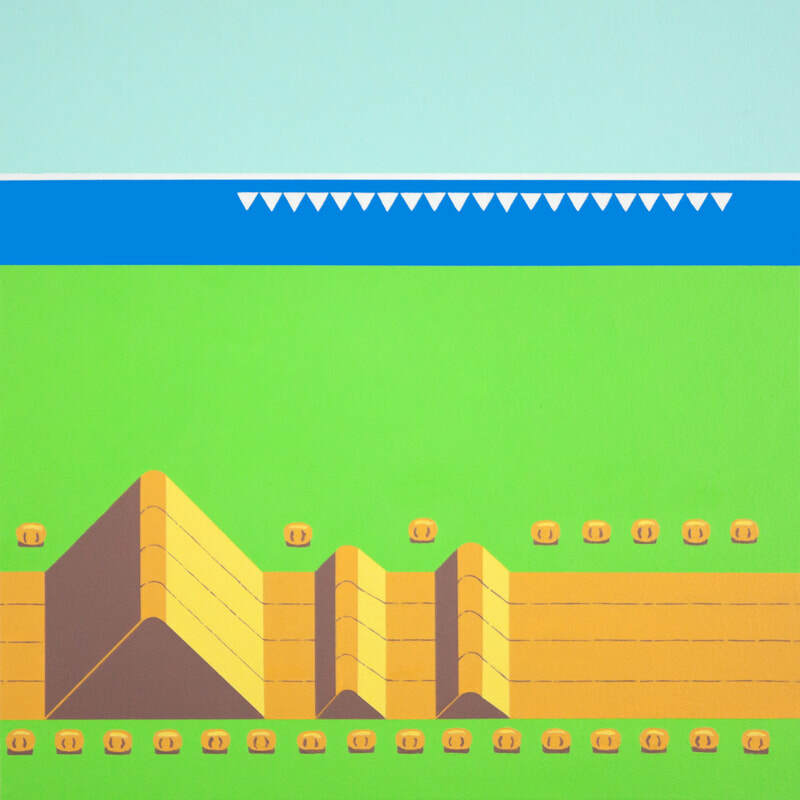 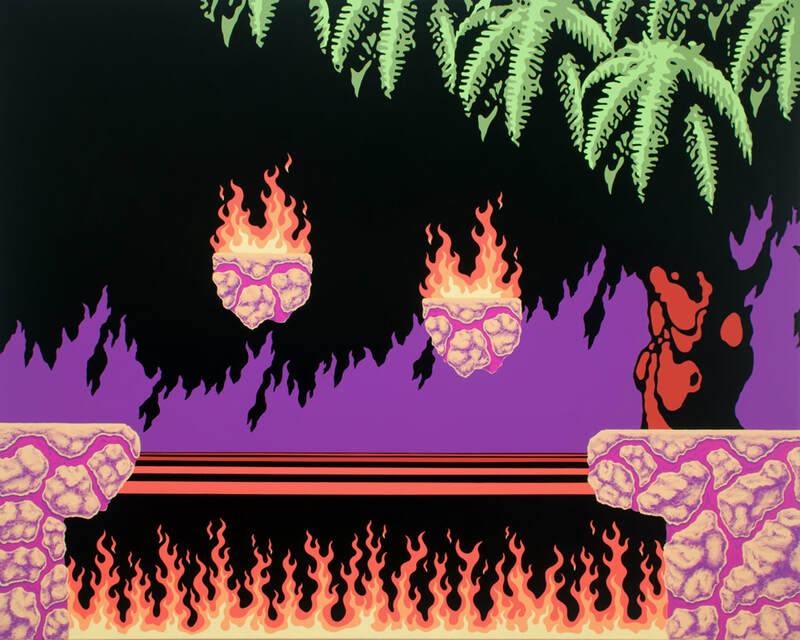 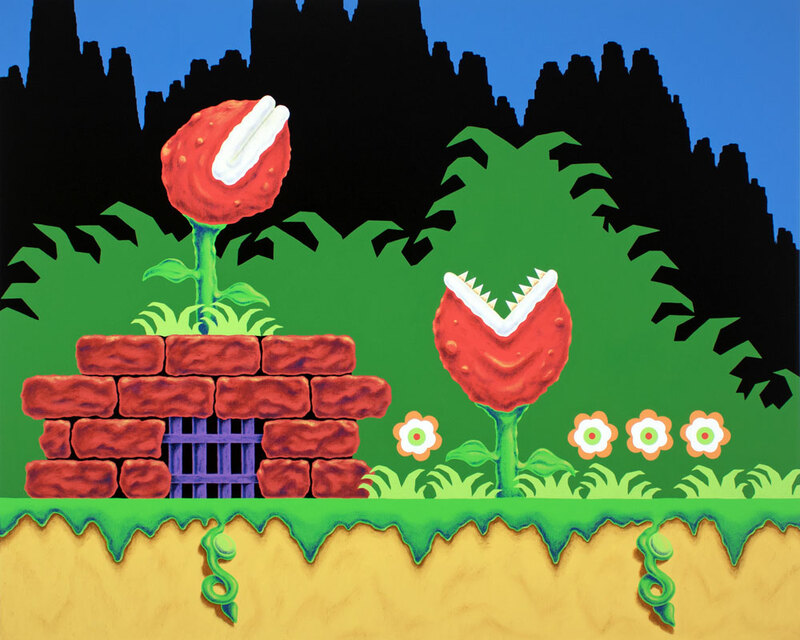 In the process of playing an array of Nintendo NES and Super Nintendo games, I select, digitize, and layer visual assets using Photoshop, to construct an amalgamated and modified gaming environment. This template is transferred onto the painting surface and becomes a point of departure, allowing for a transformative creative process to happen at the easel. 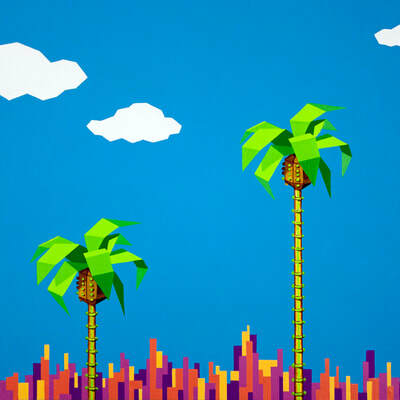 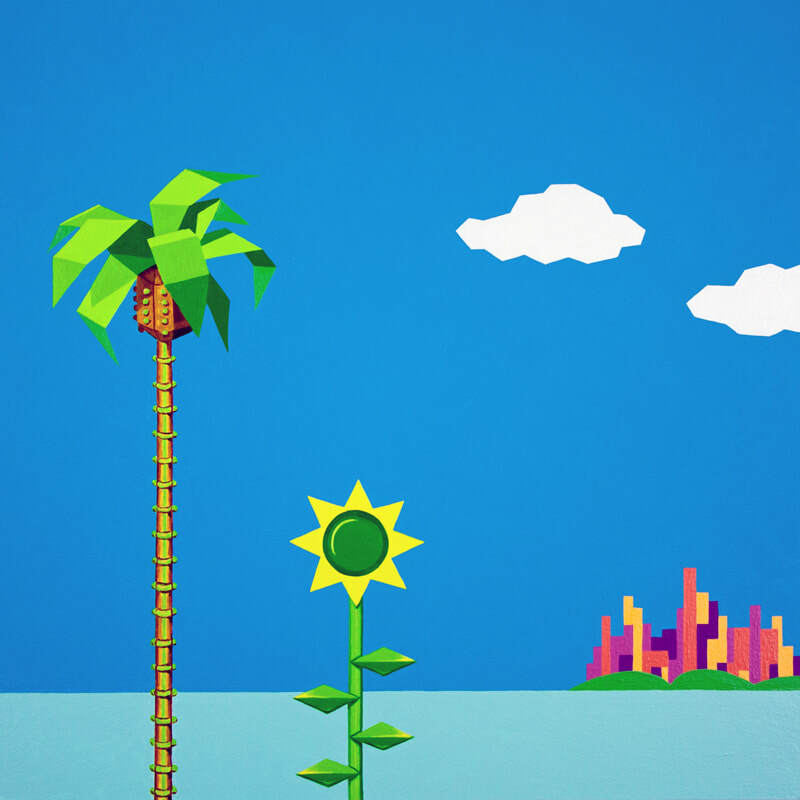 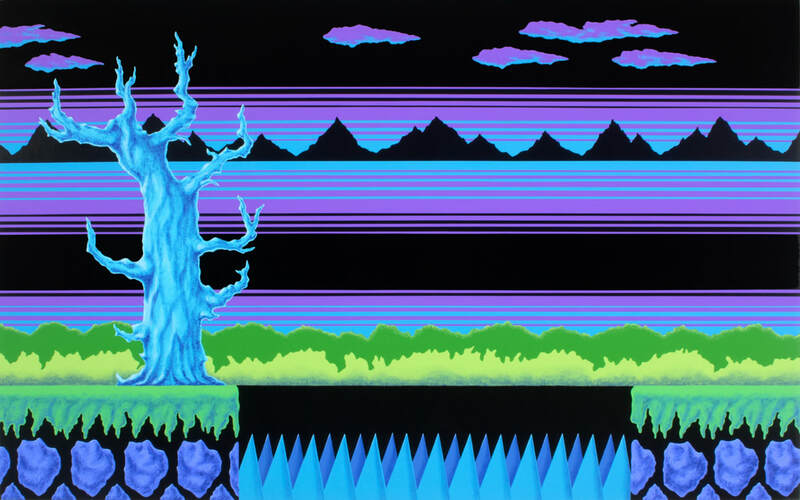 While these new hybrid landscapes become settings for my own developing narratives, some visual elements may appear familiar and the original game source identifiable, inciting a quasi-nostalgic experience for those who might have enjoyed playing these games from that era. 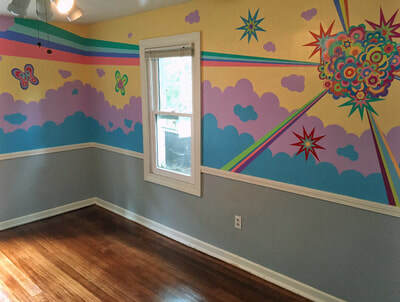 **Click on thumbnails for full image. 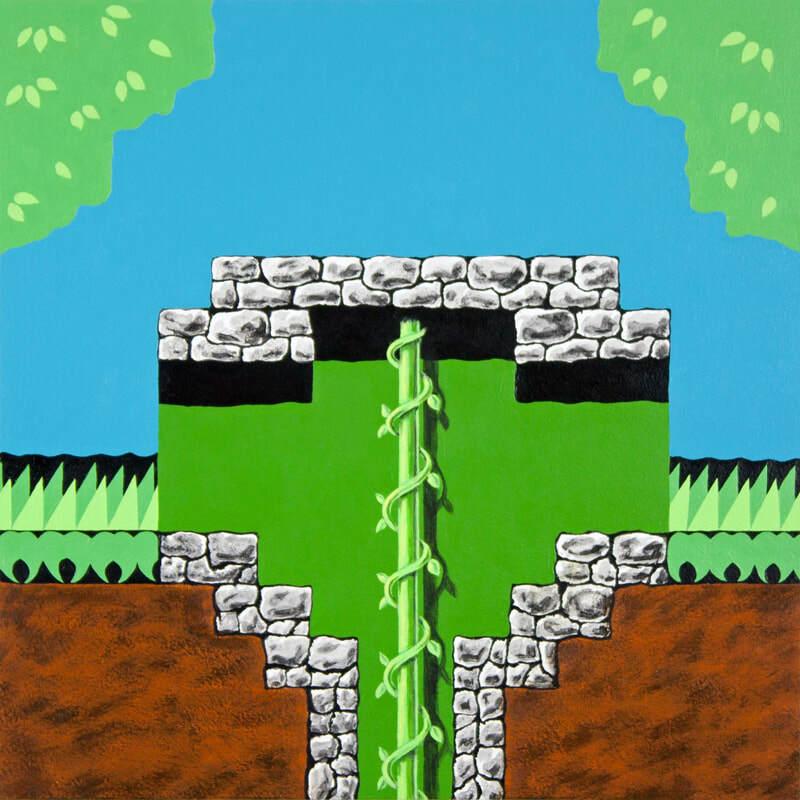 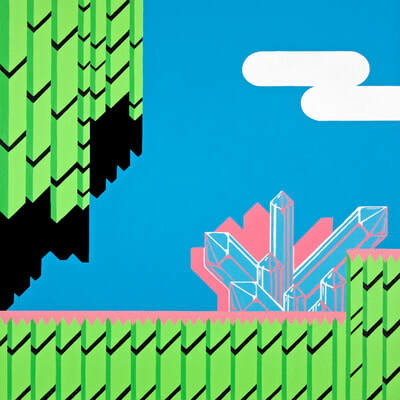 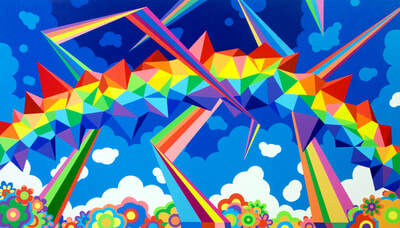 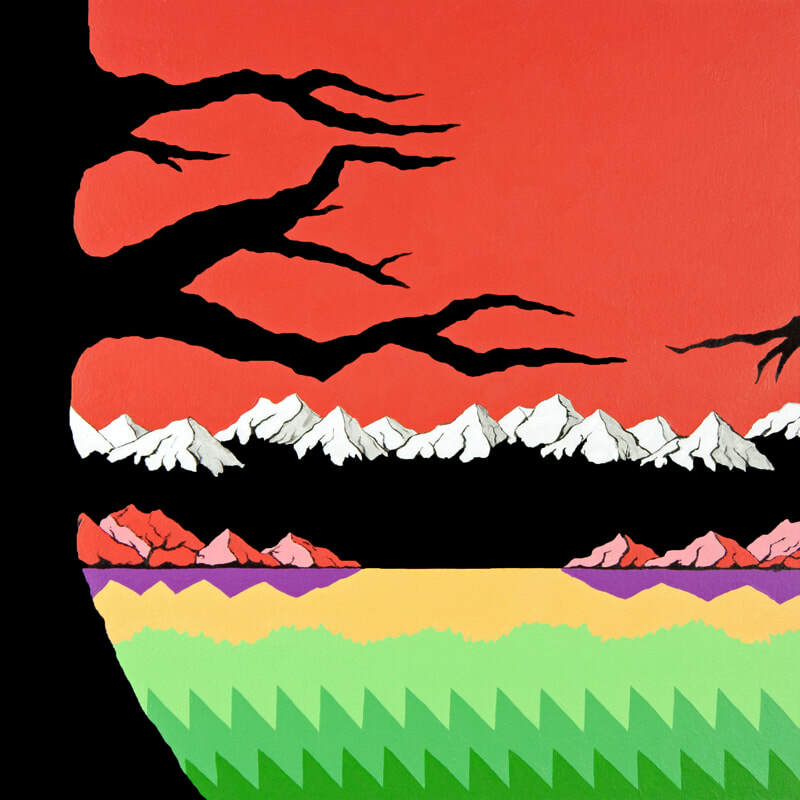 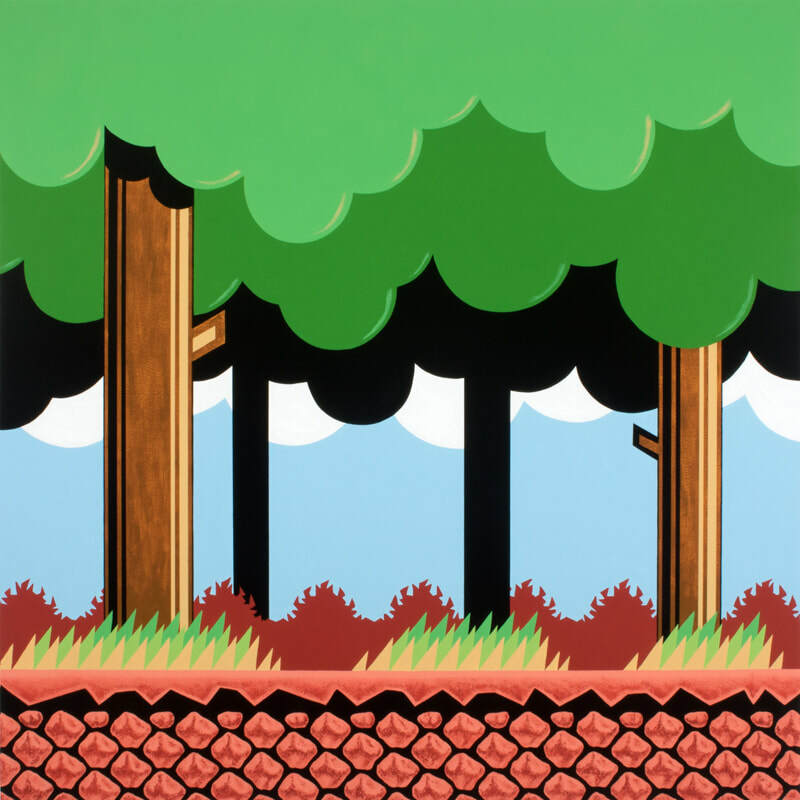 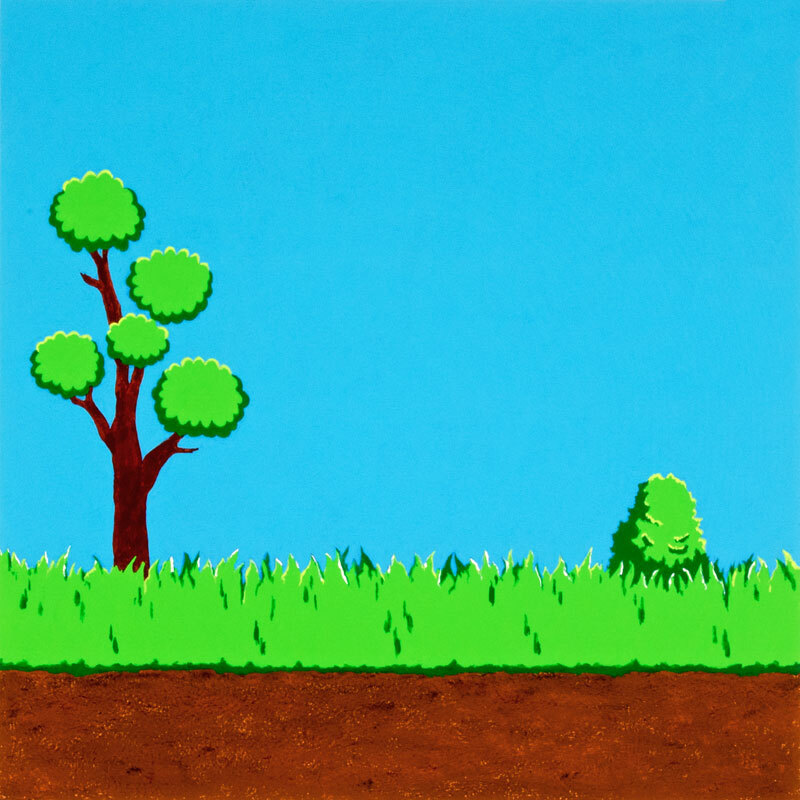 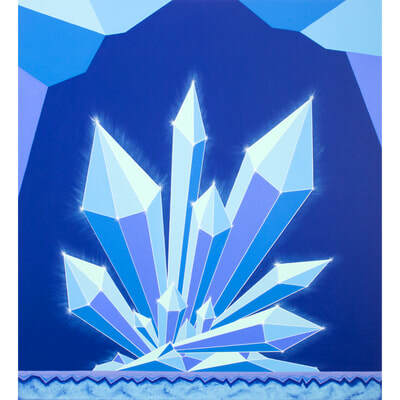 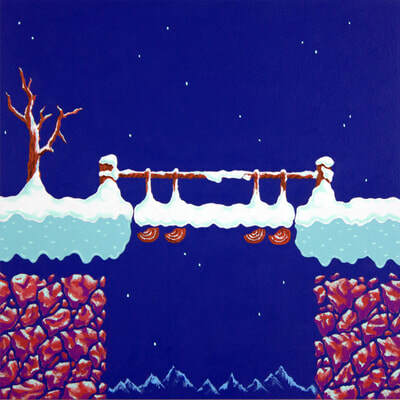 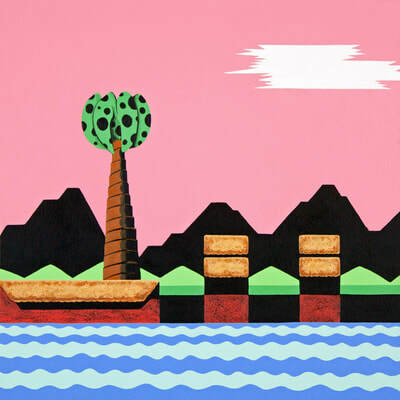 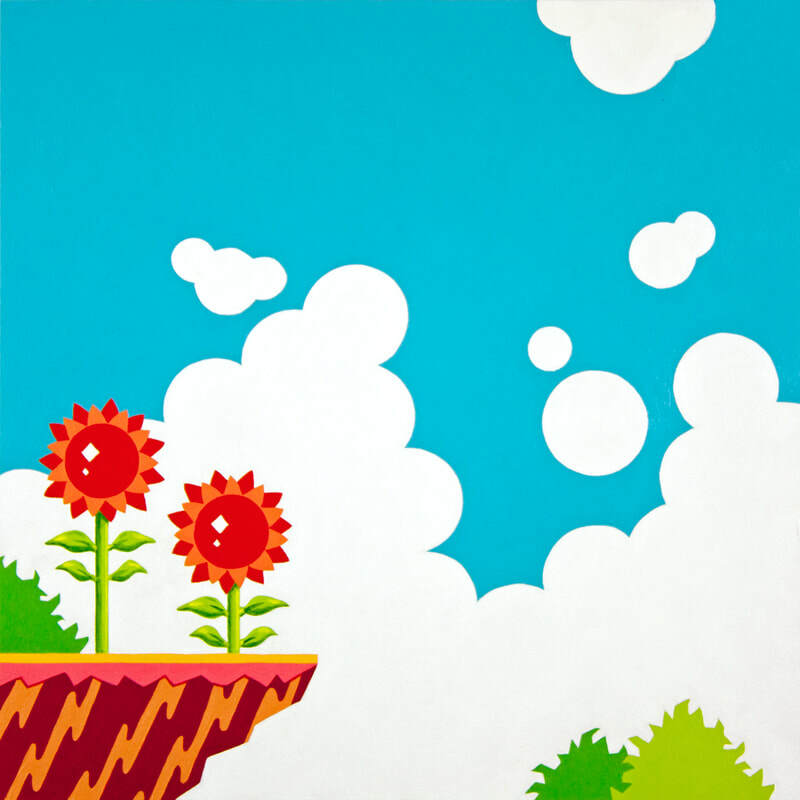 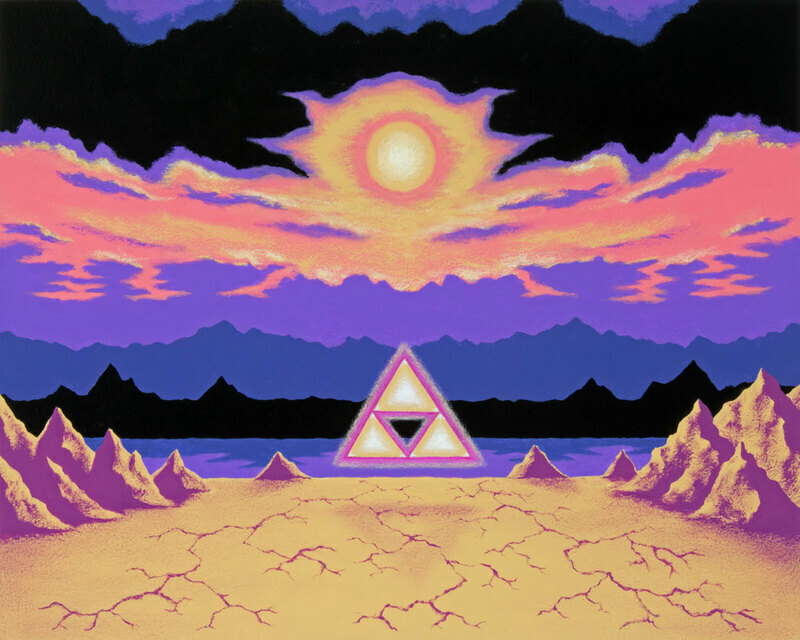 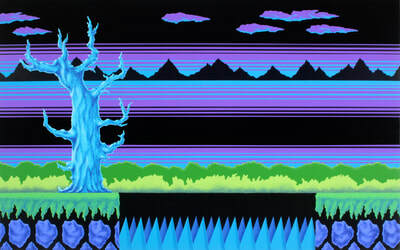 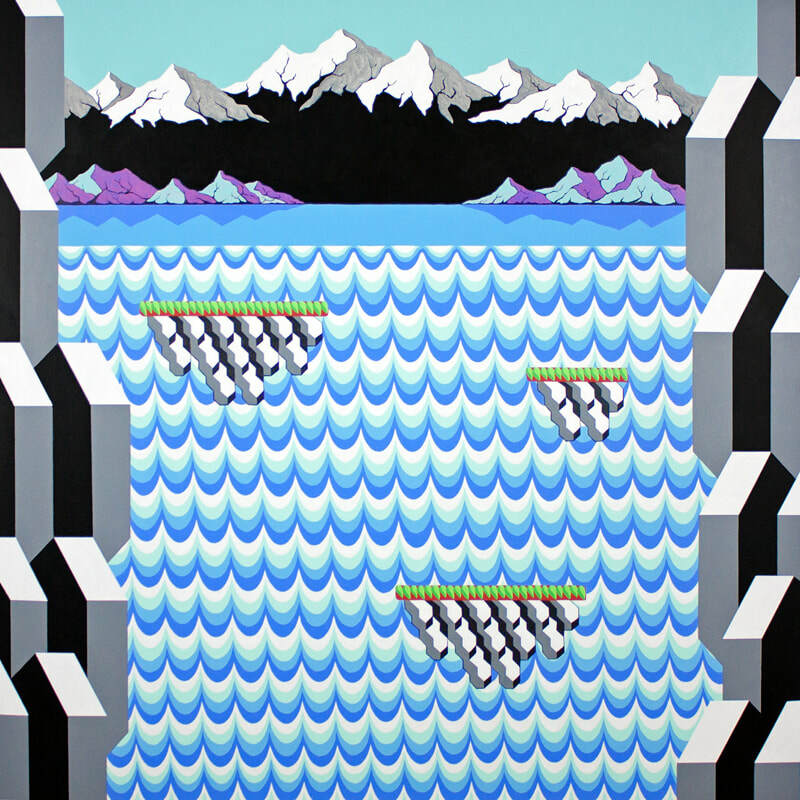 This series of paintings consist of augmented visual elements from some of my favorite video games. 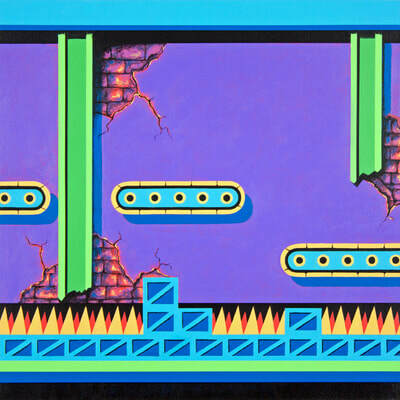 In some paintings, I have chosen a certain stage of a game for its composition, color scheme or iconic resonance. 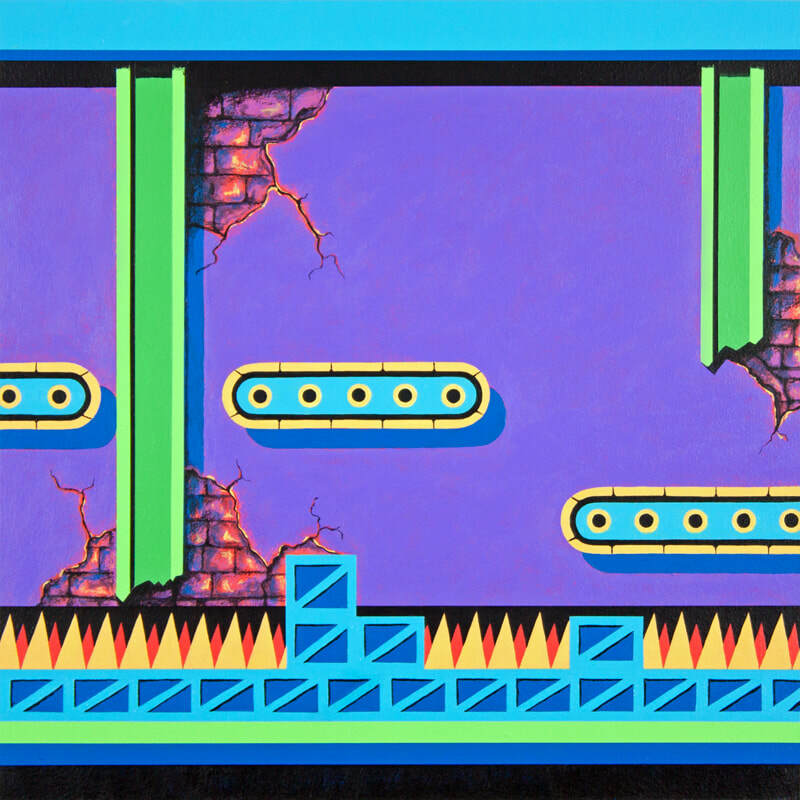 I’m interested in reducing the dynamical visual information in a game down to a more minimal interpretation in the painting. 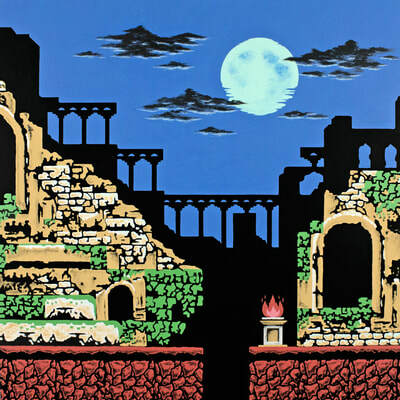 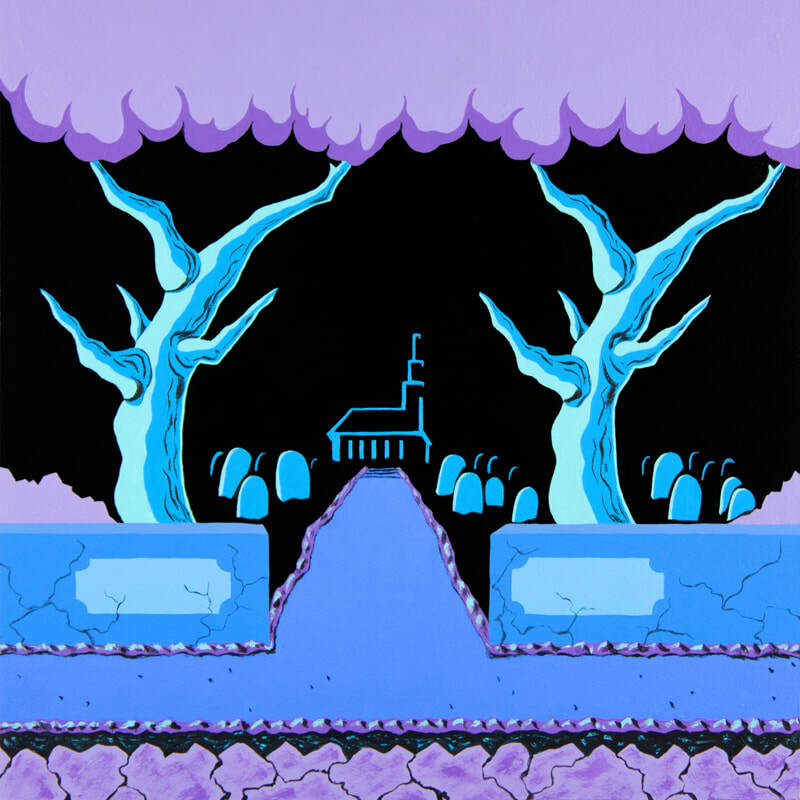 All character sprites and graphic pixelations are eliminated from the compositions, resulting in a simplified, reductive painting aesthetic. My aim is to transform the fast-paced game play into a more slowed down, nostalgic and sentimental viewing experience in the paintings. **Click on images to enlarge. 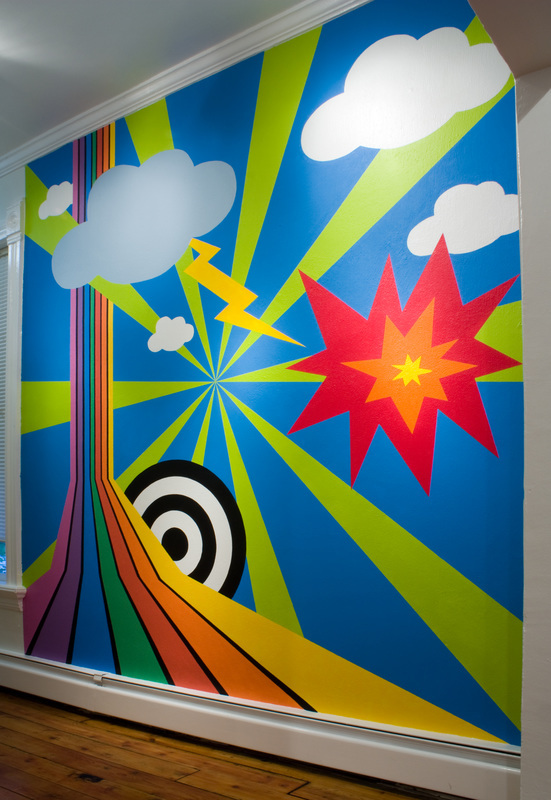 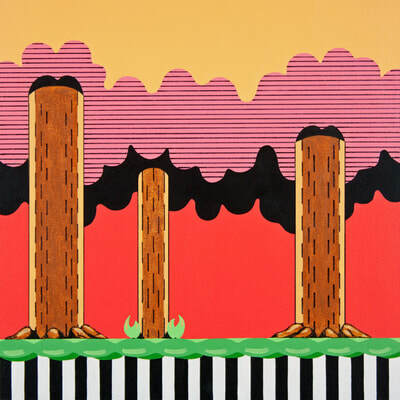 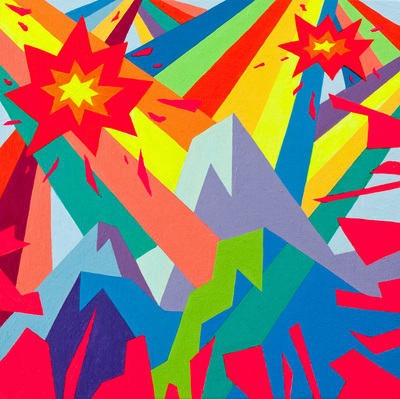 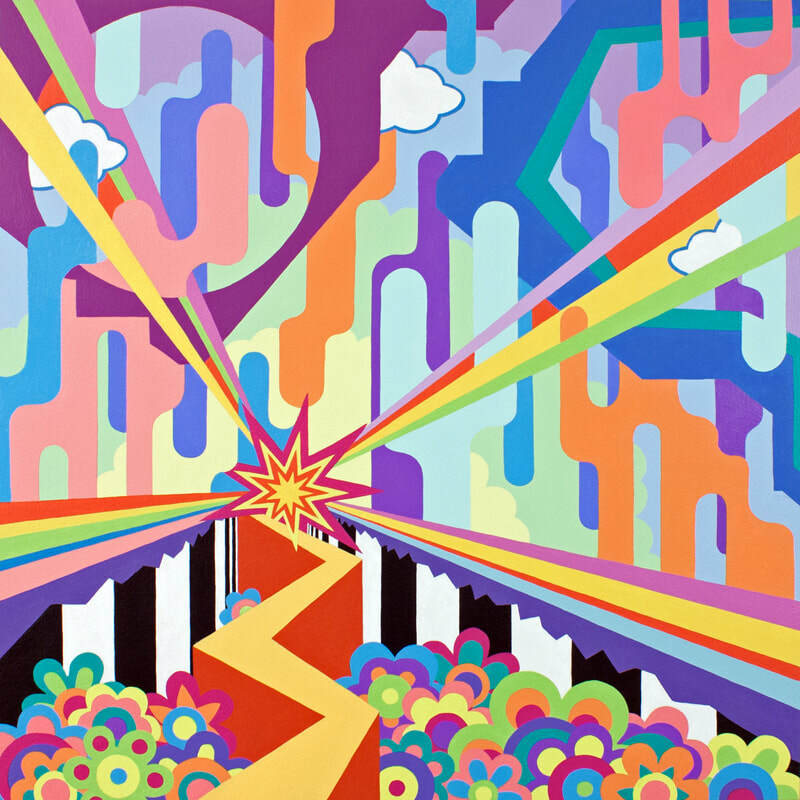 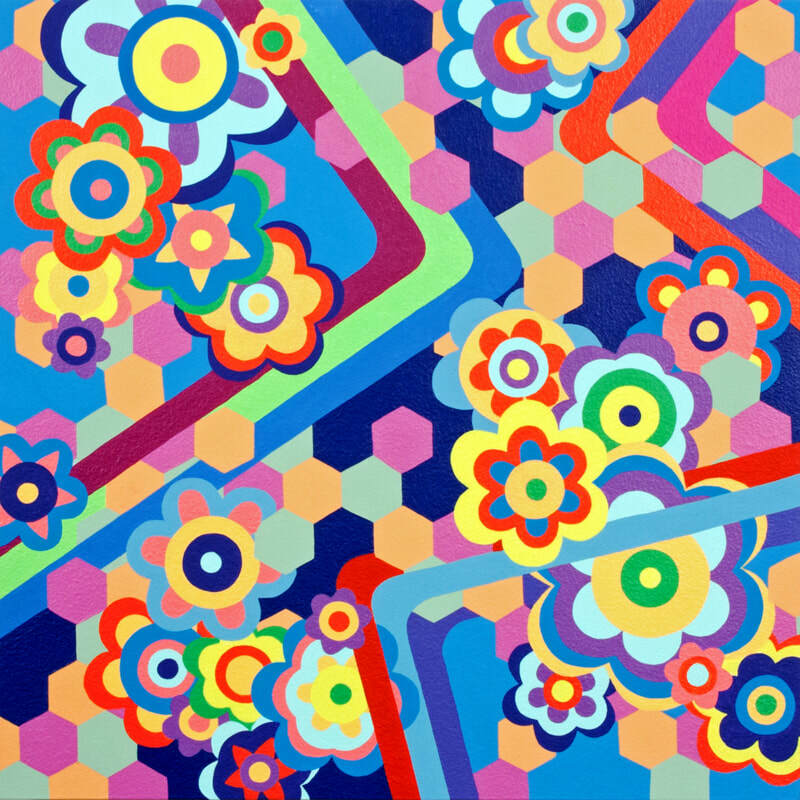 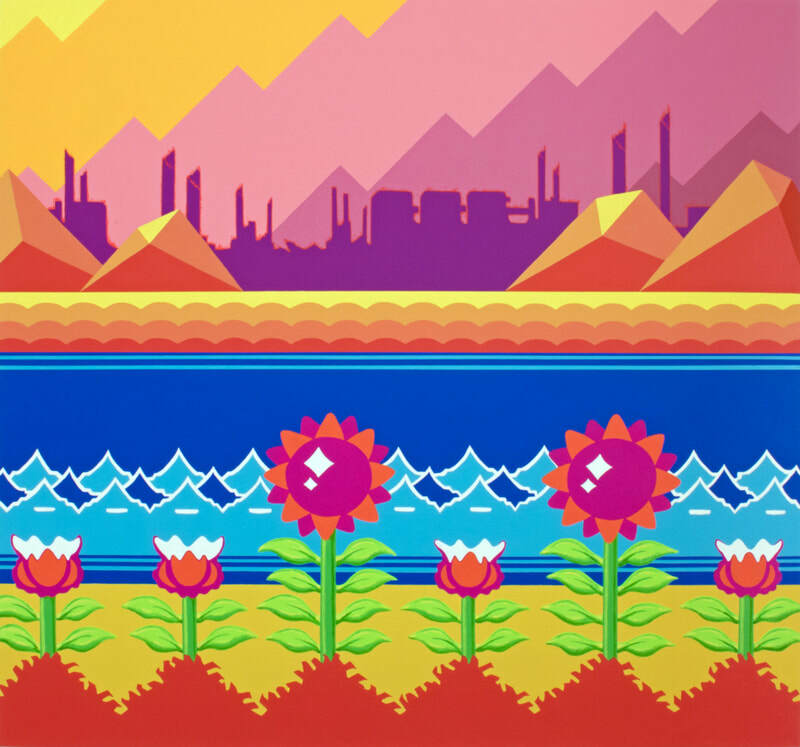 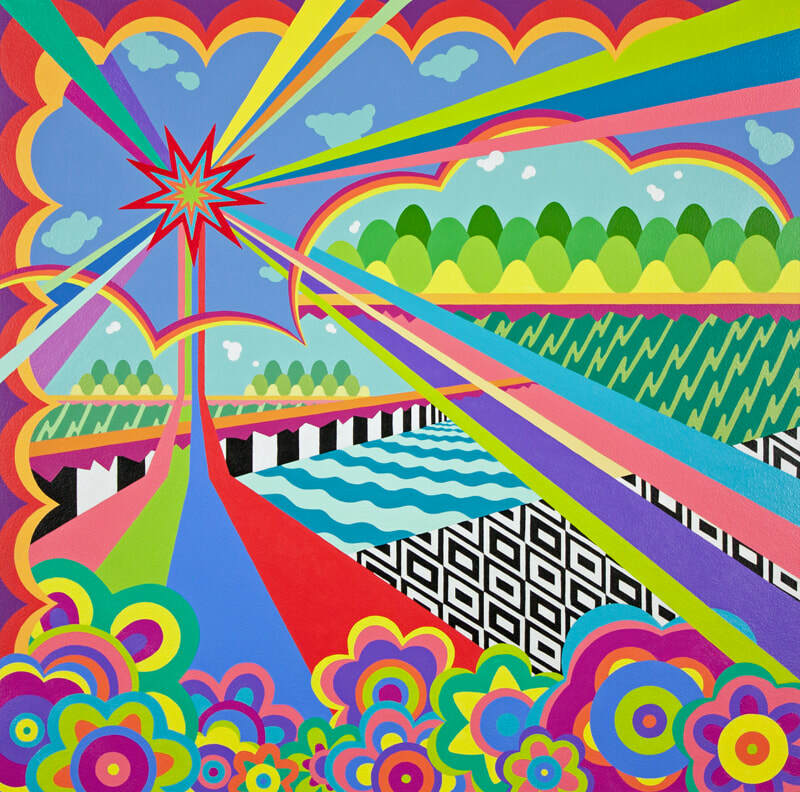 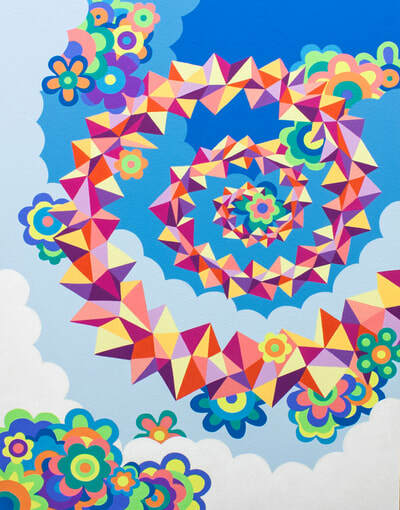 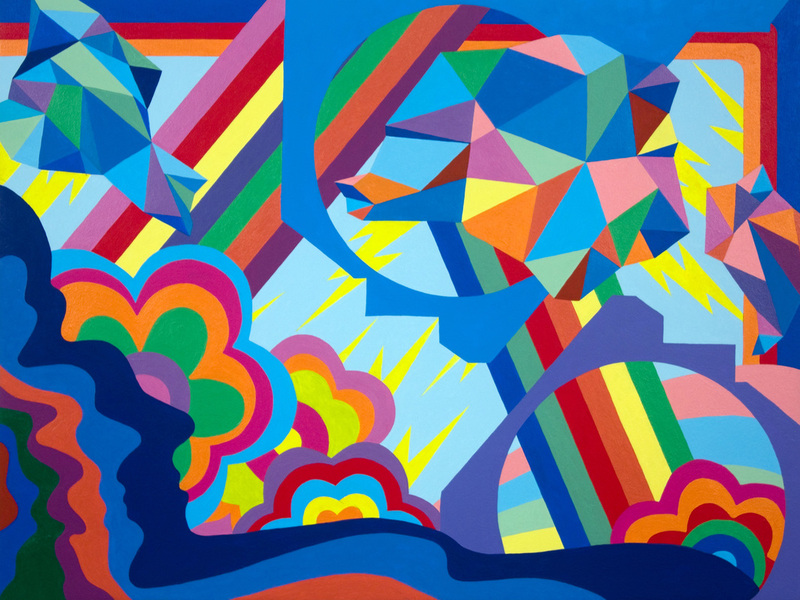 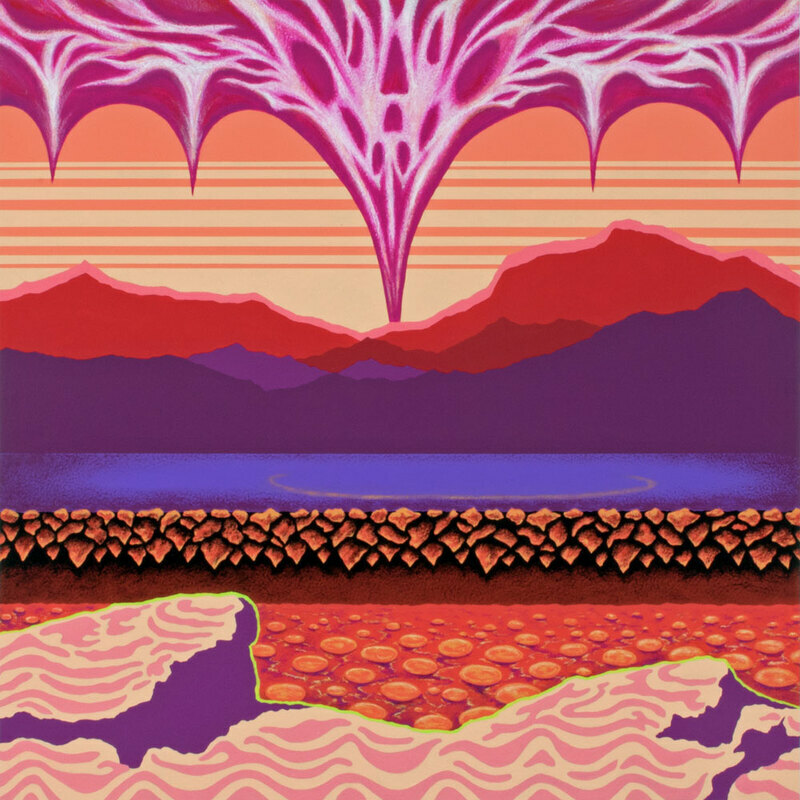 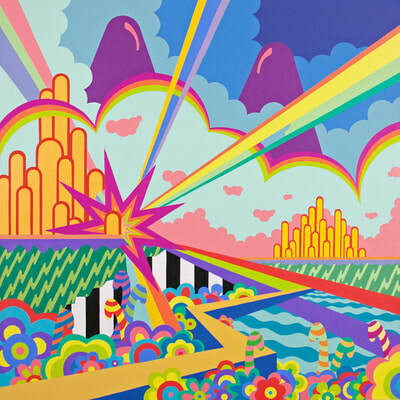 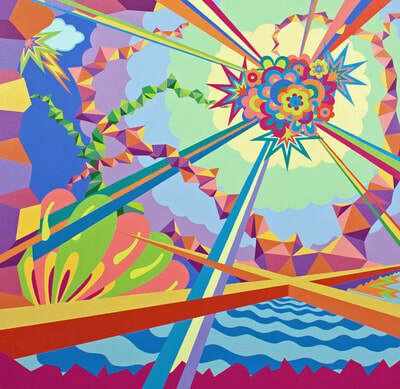 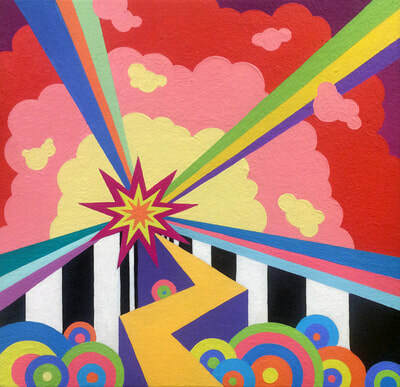 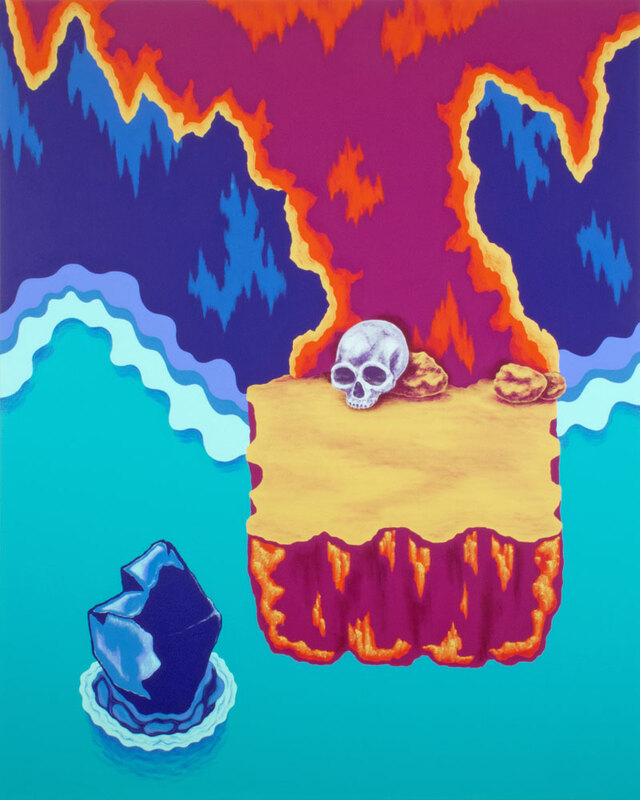 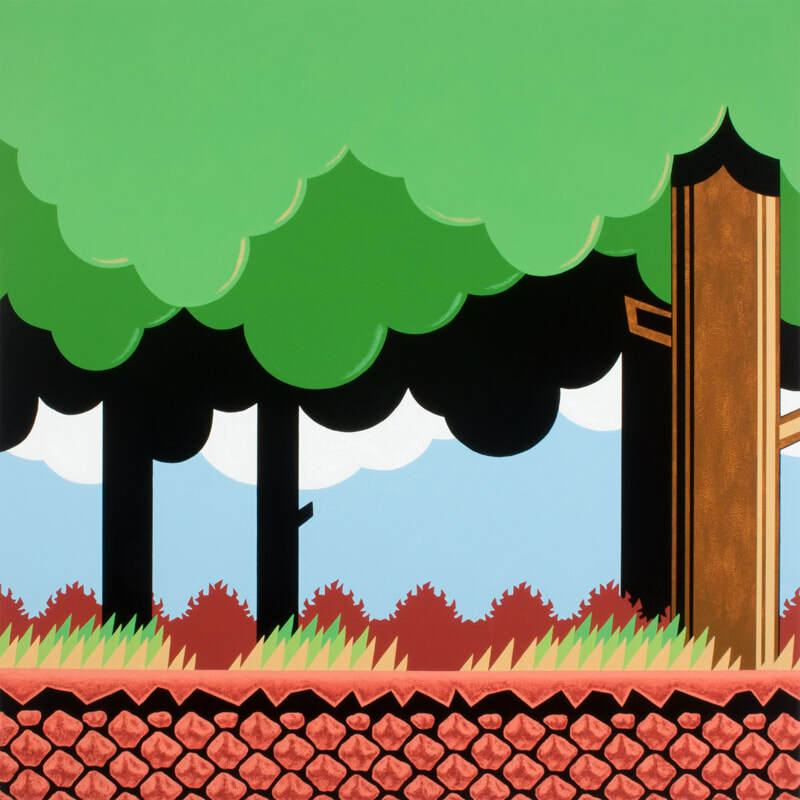 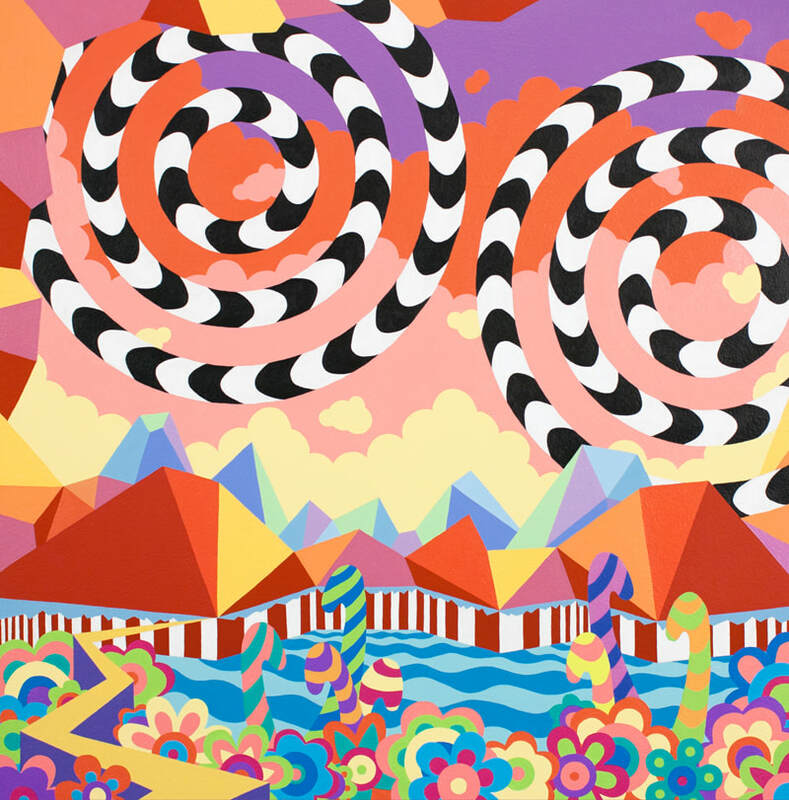 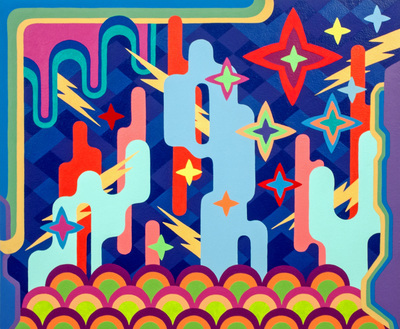 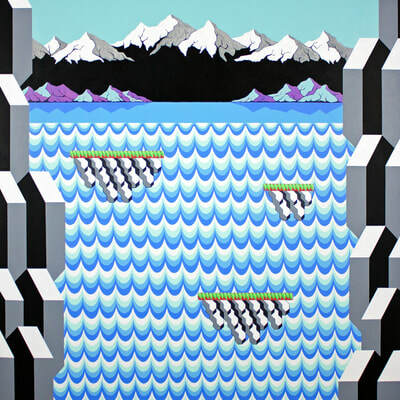 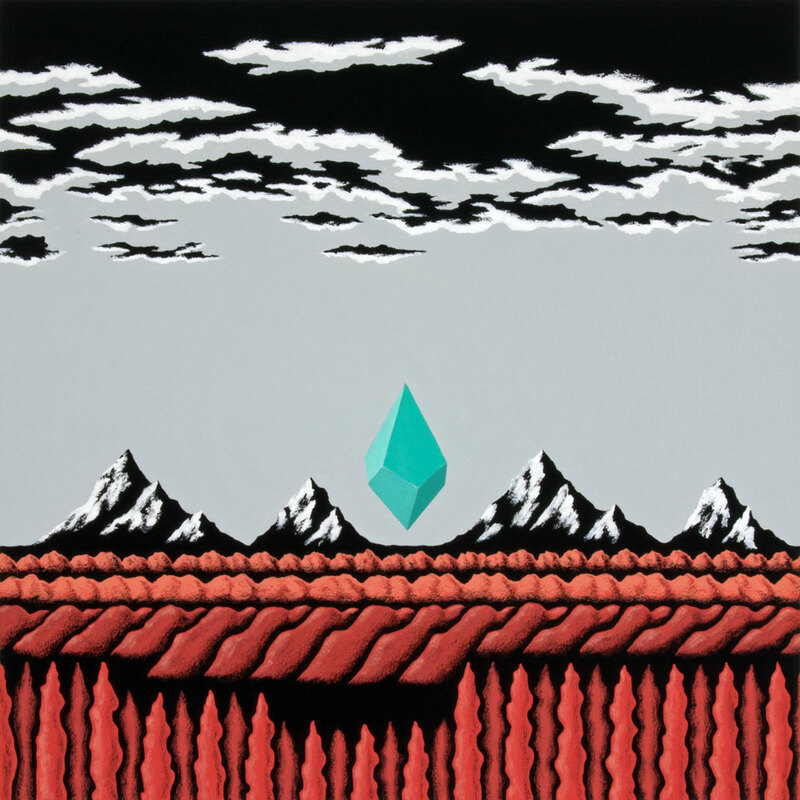 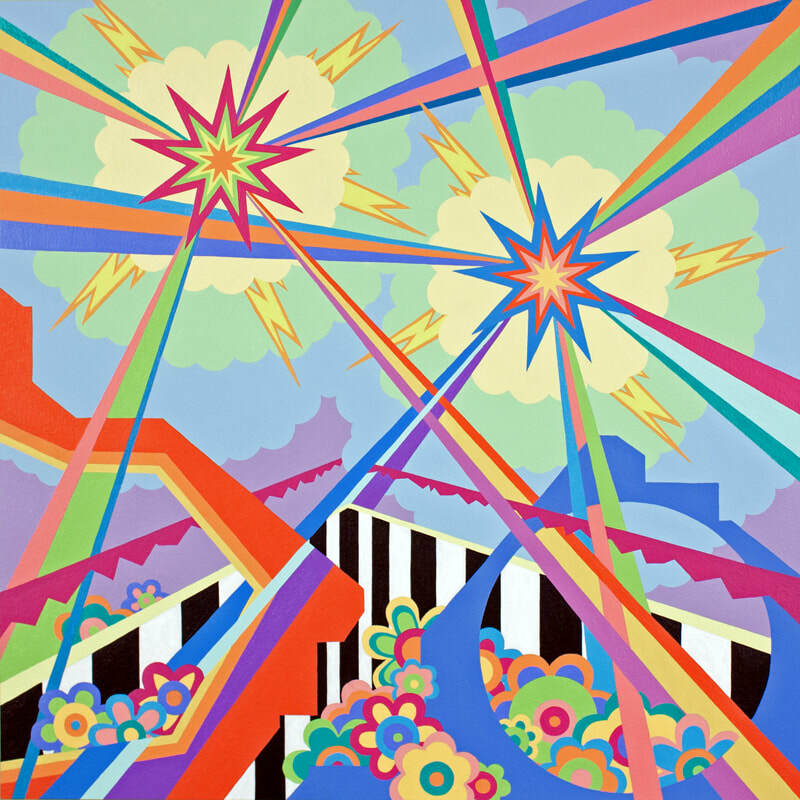 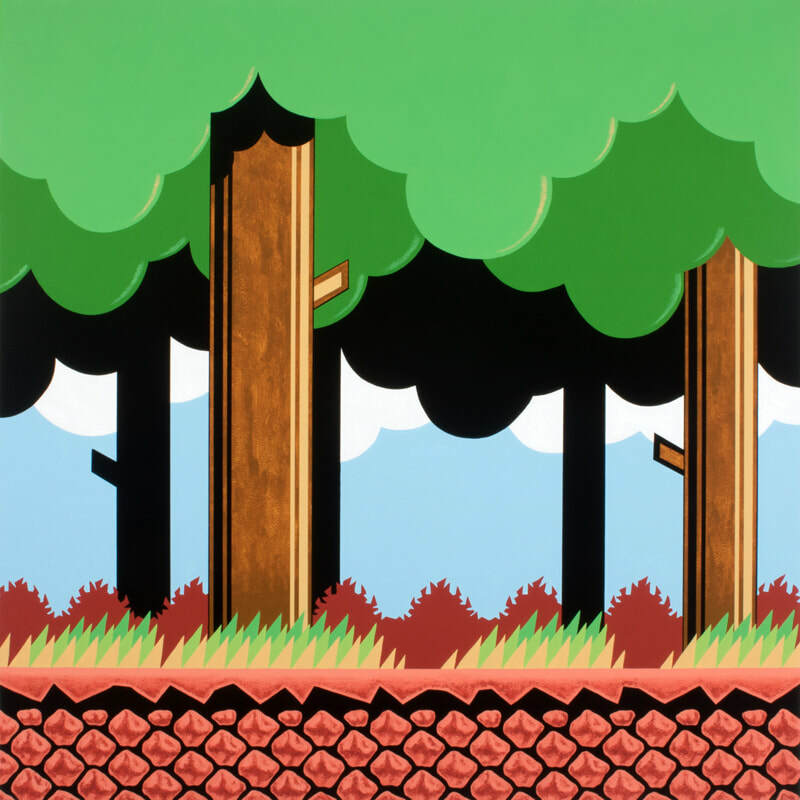 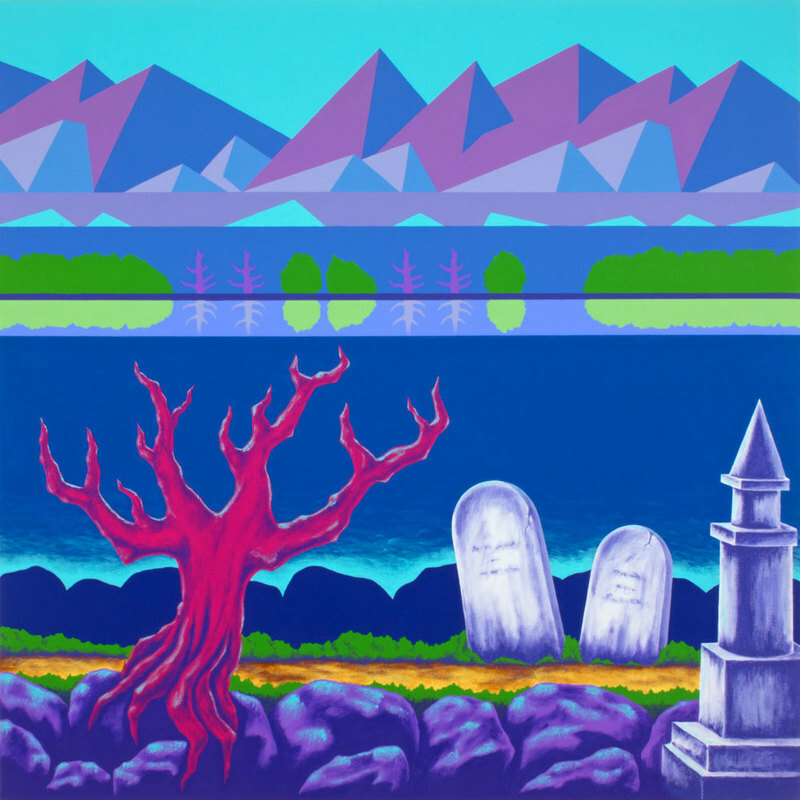 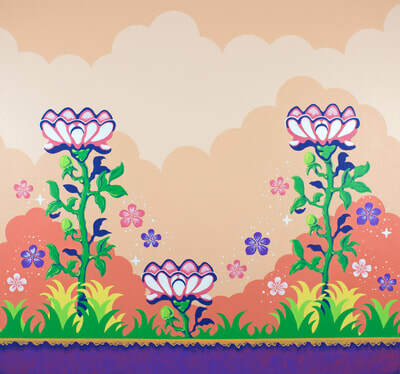 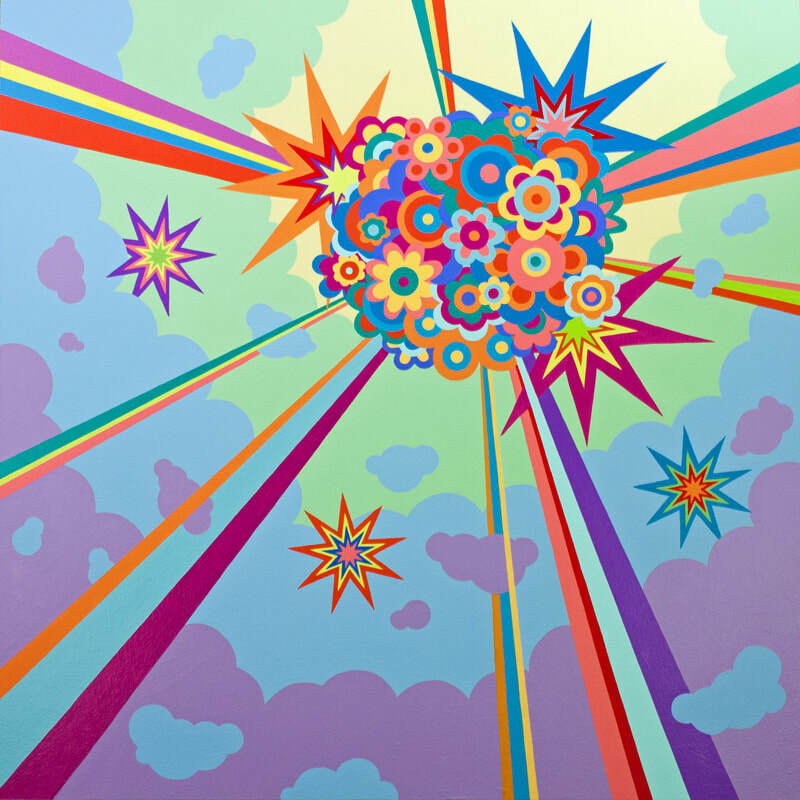 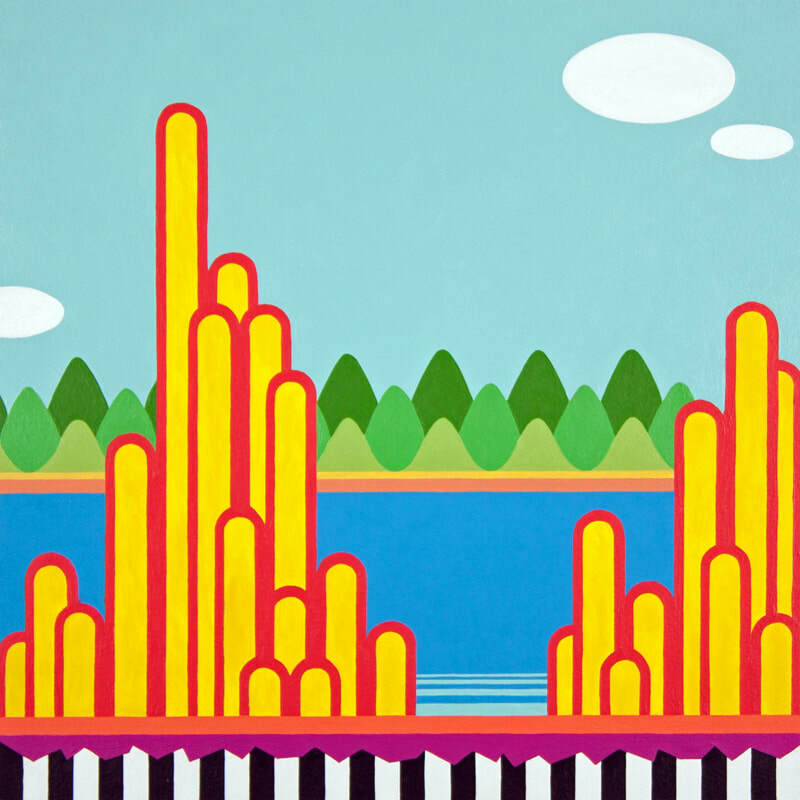 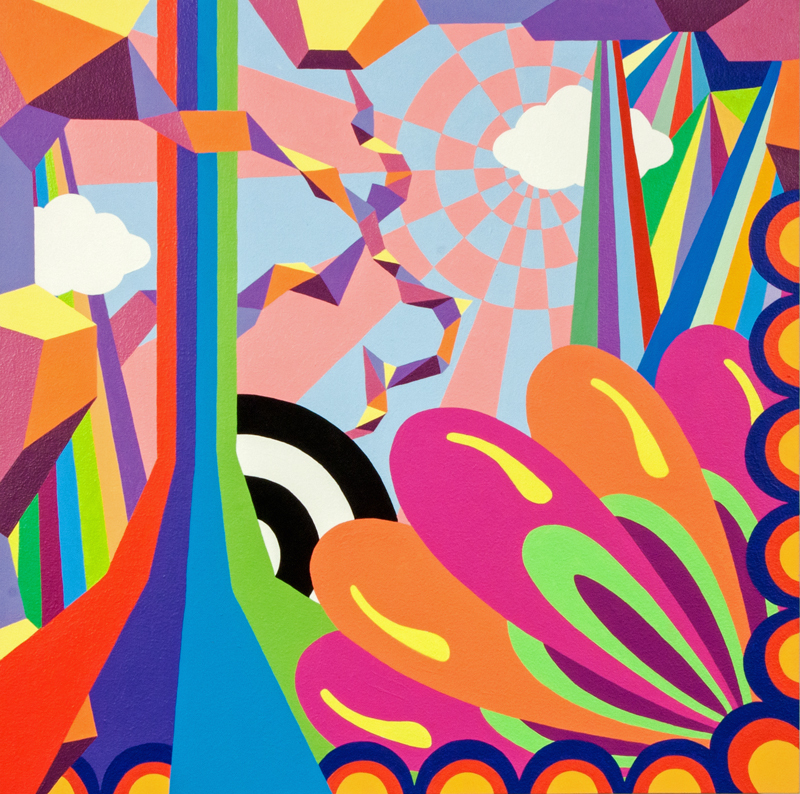 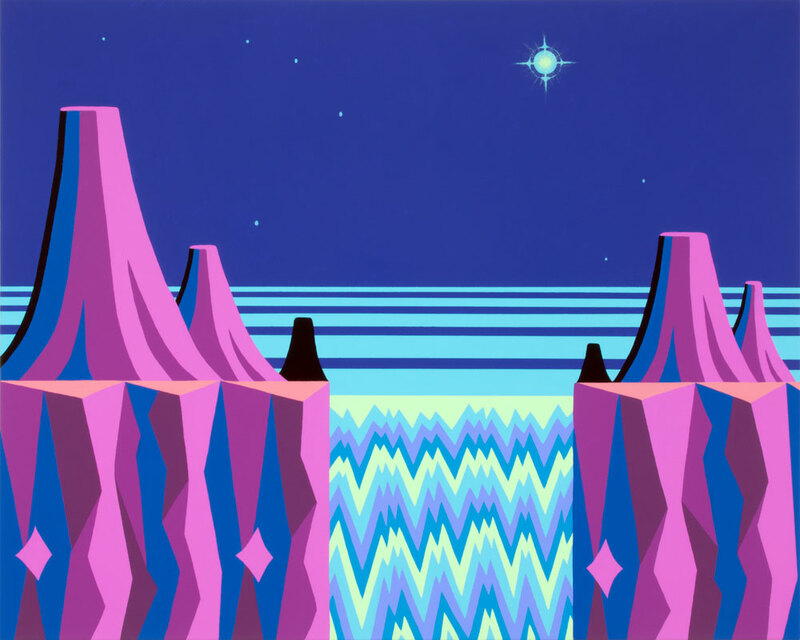 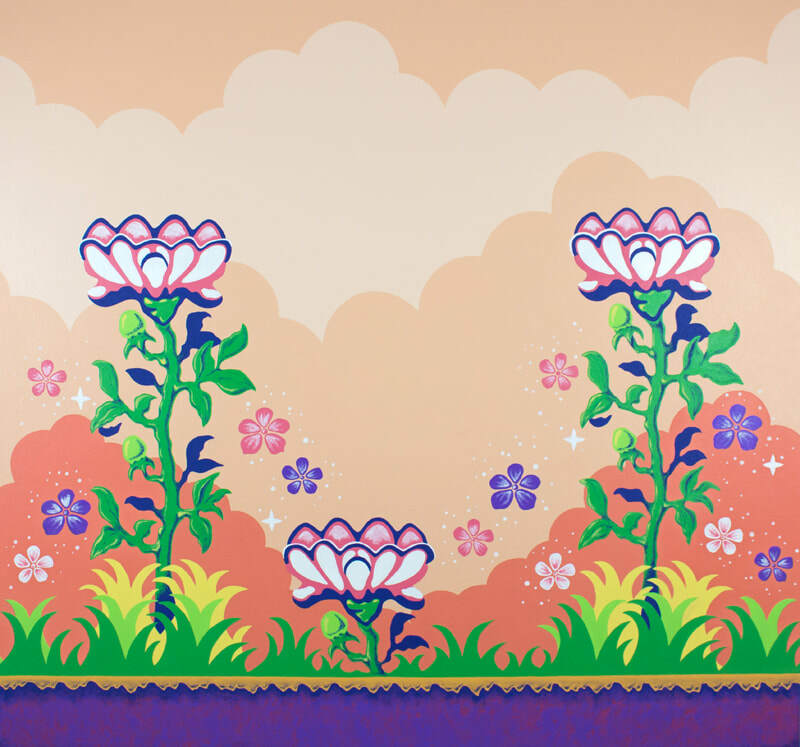 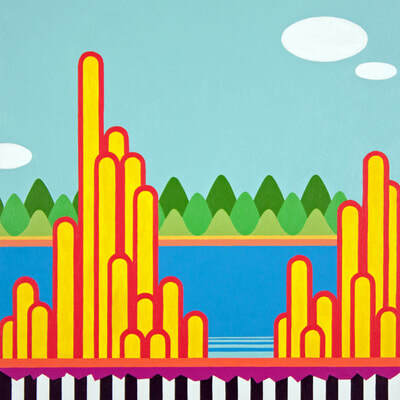 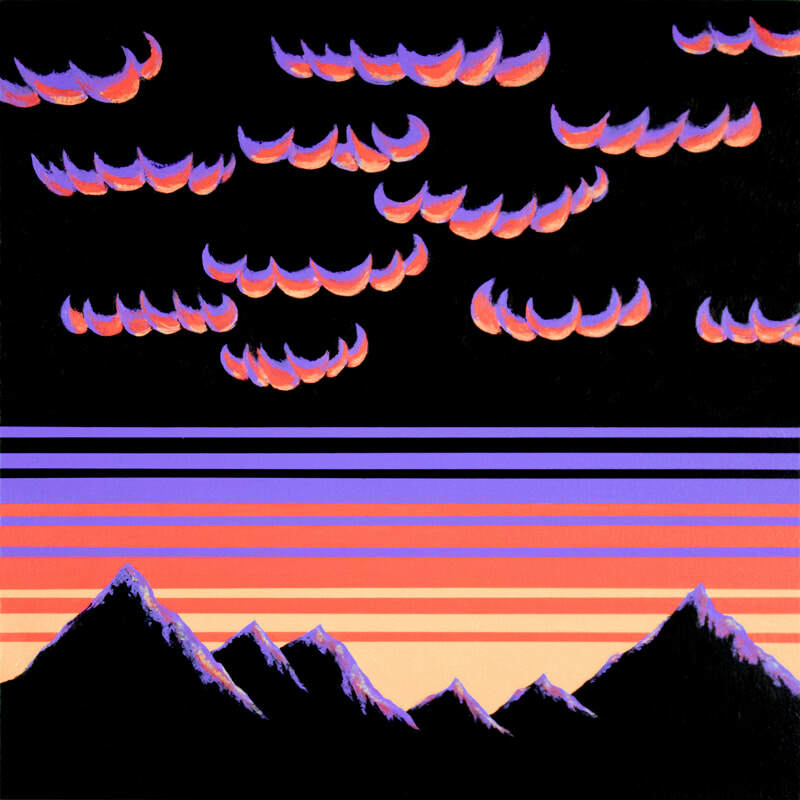 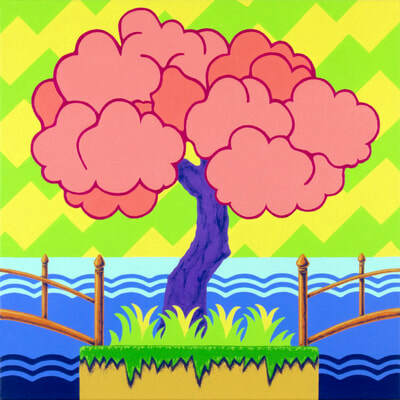 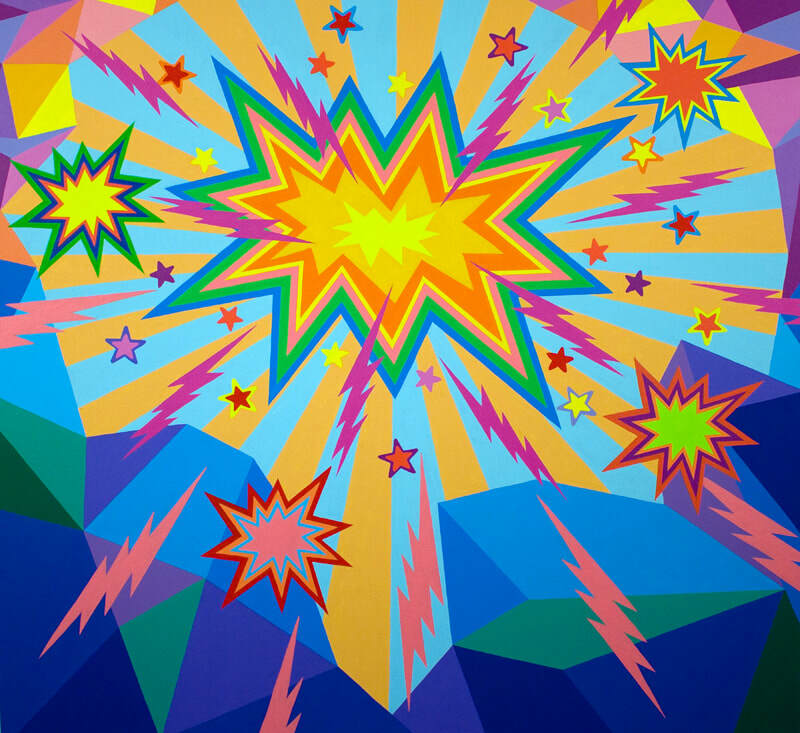 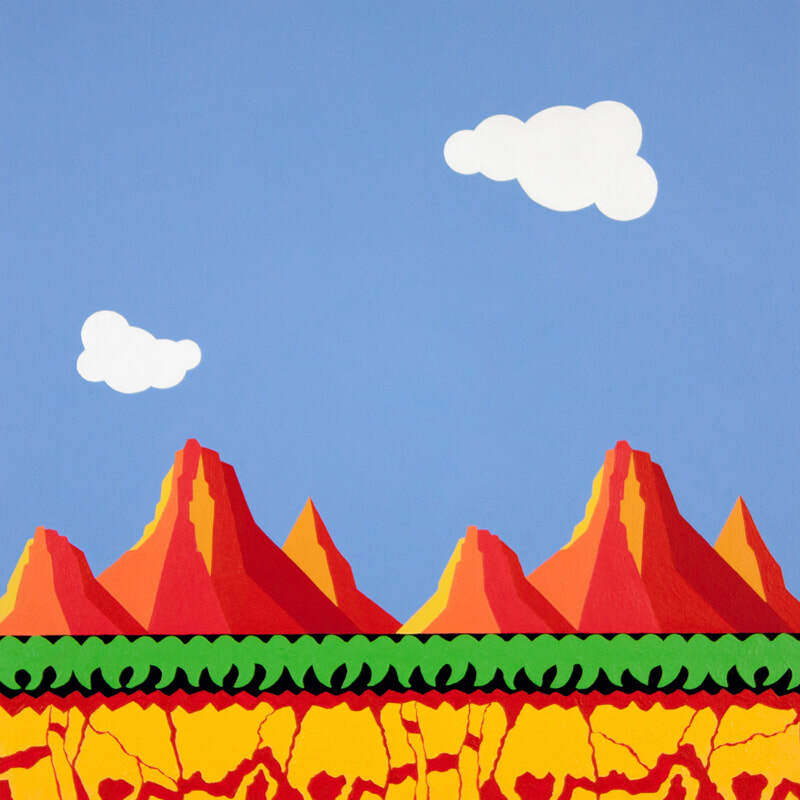 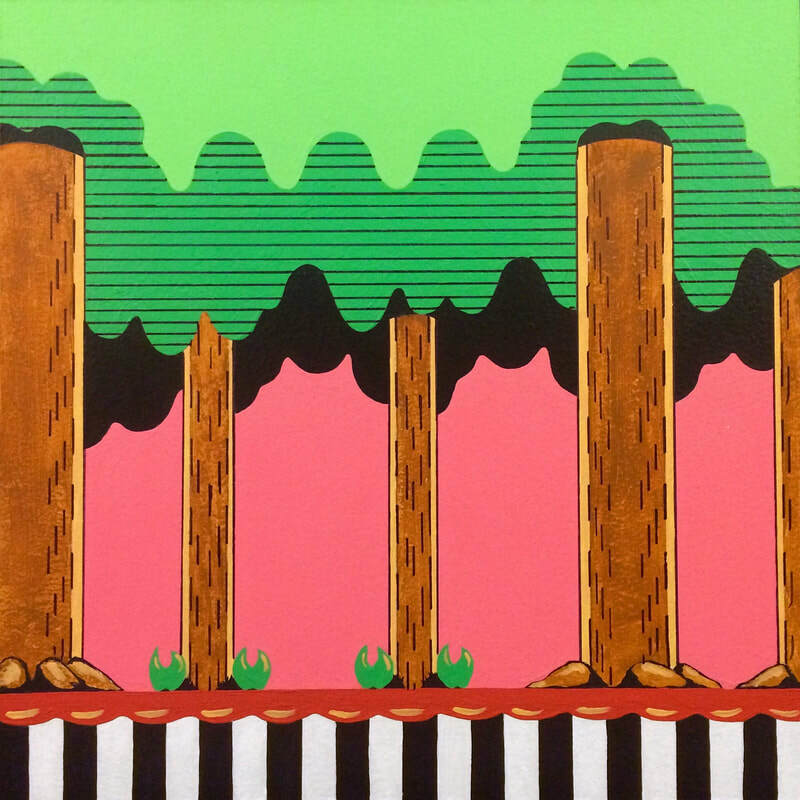 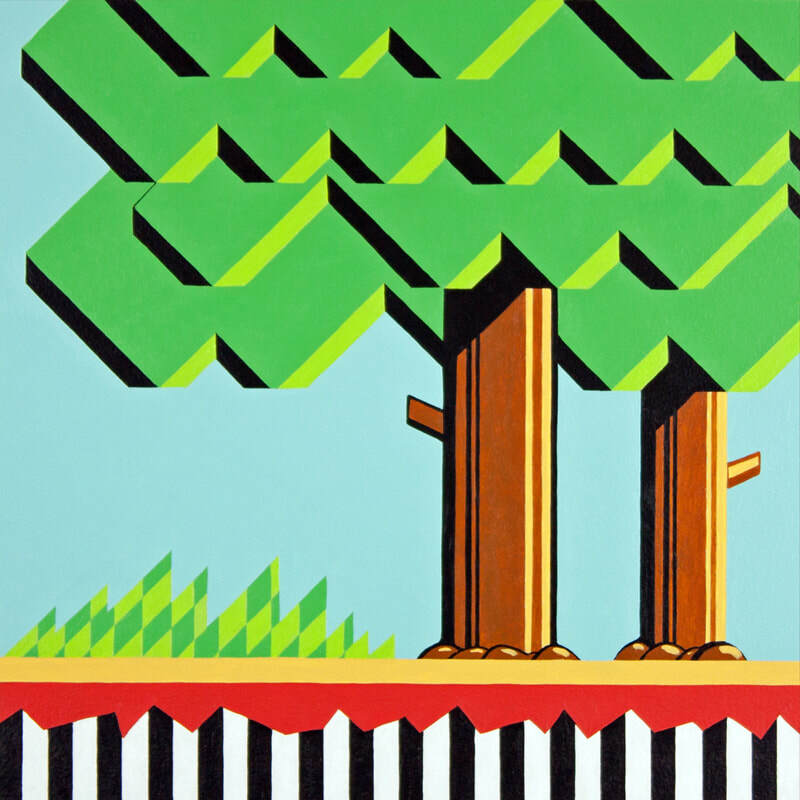 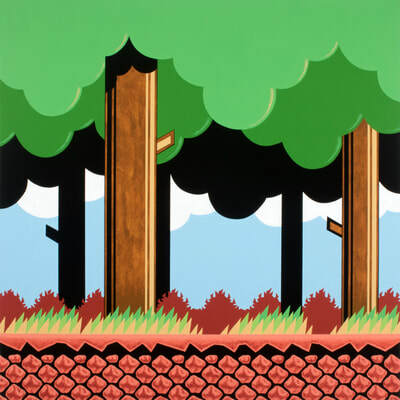 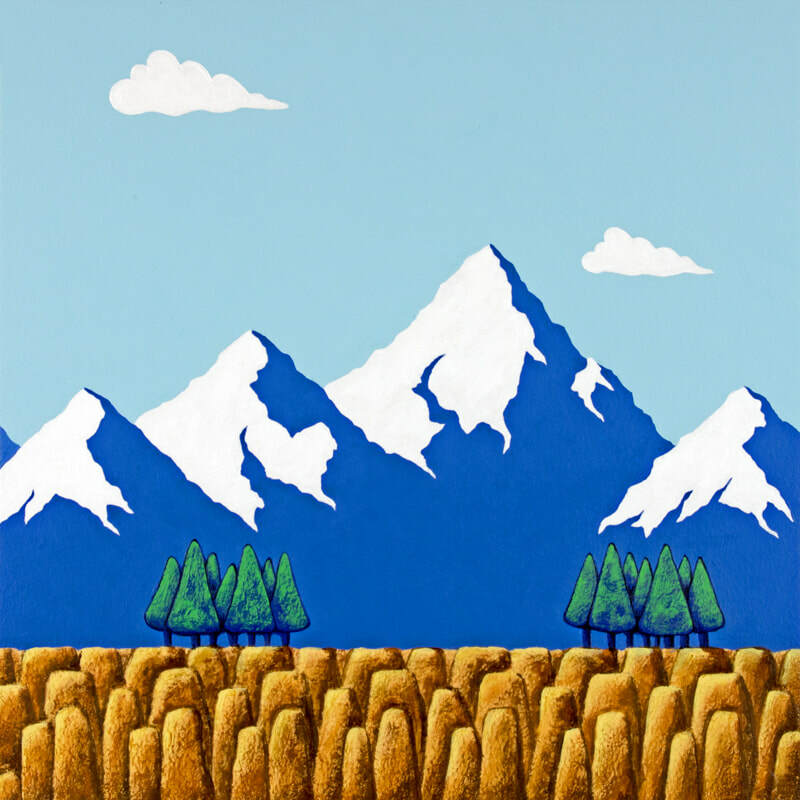 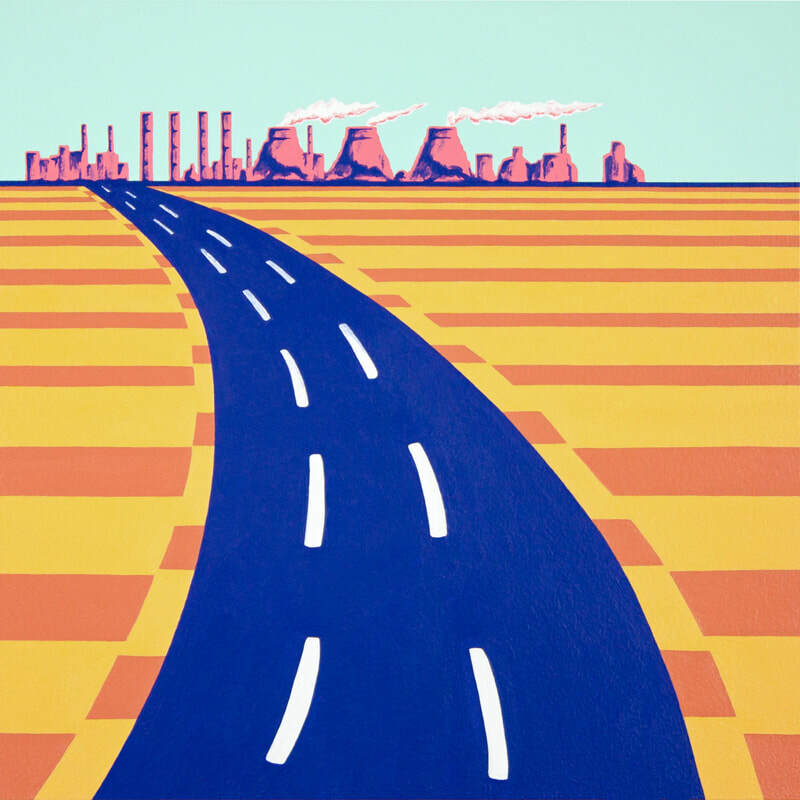 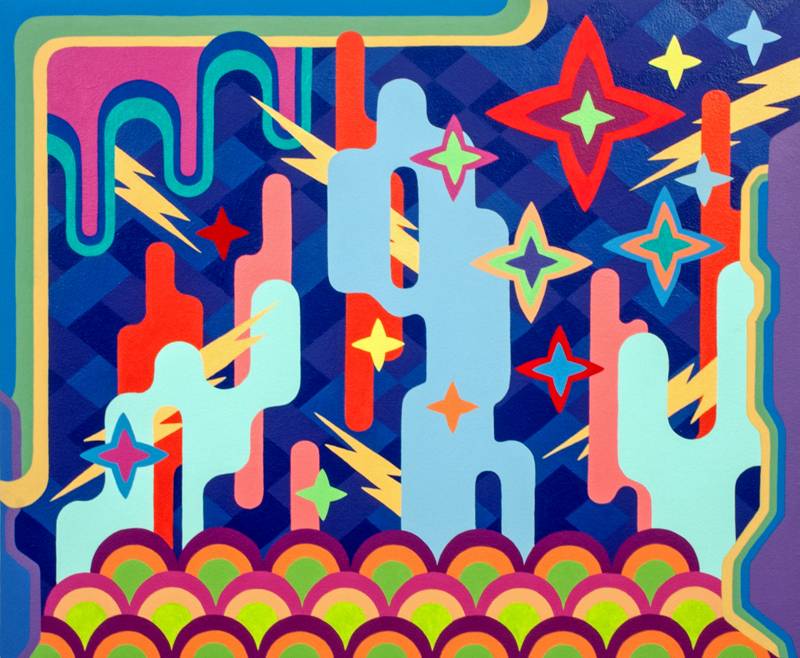 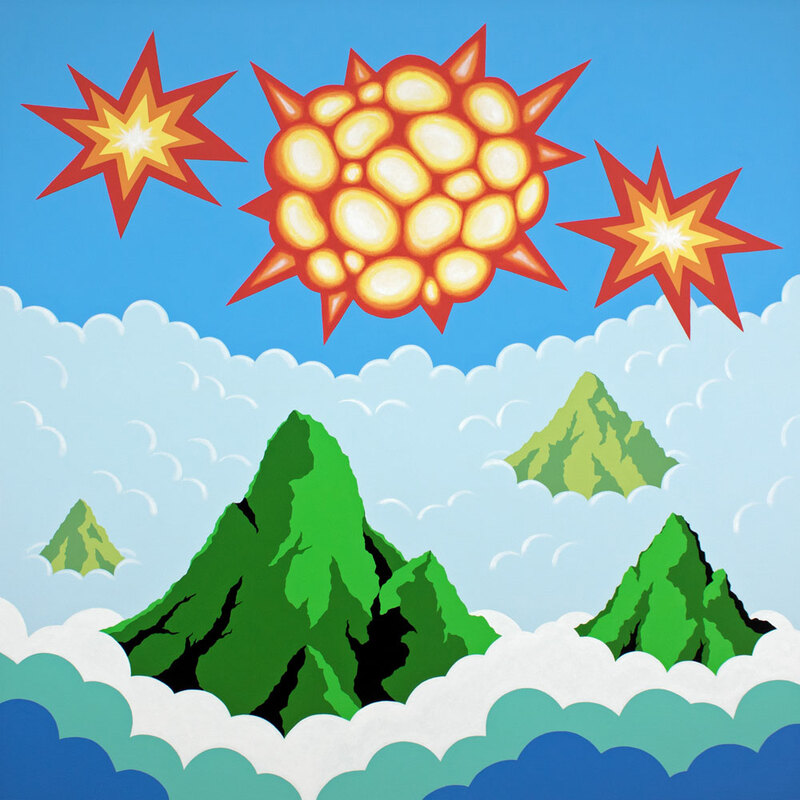 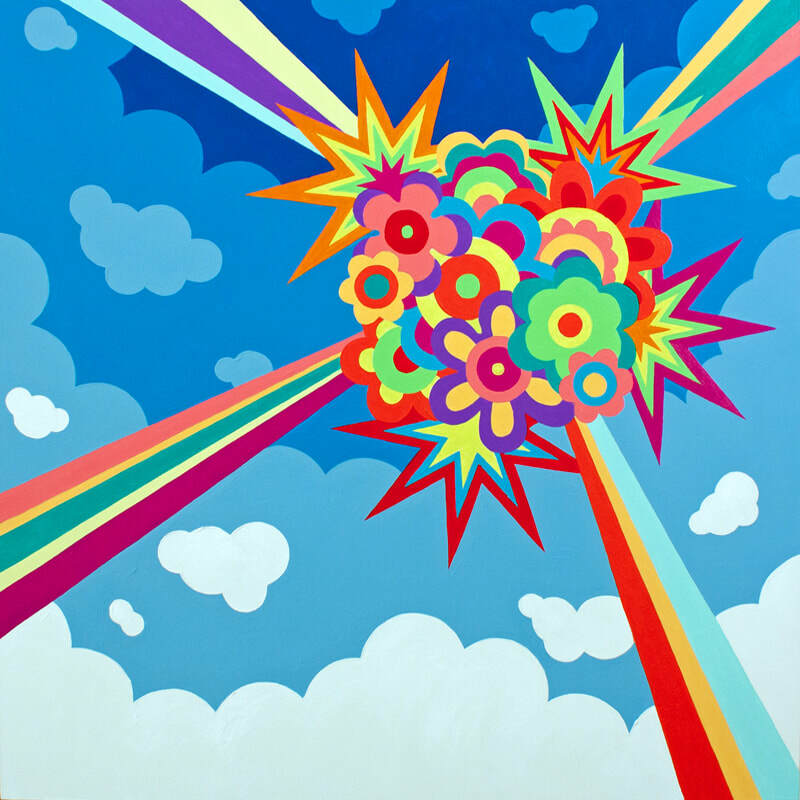 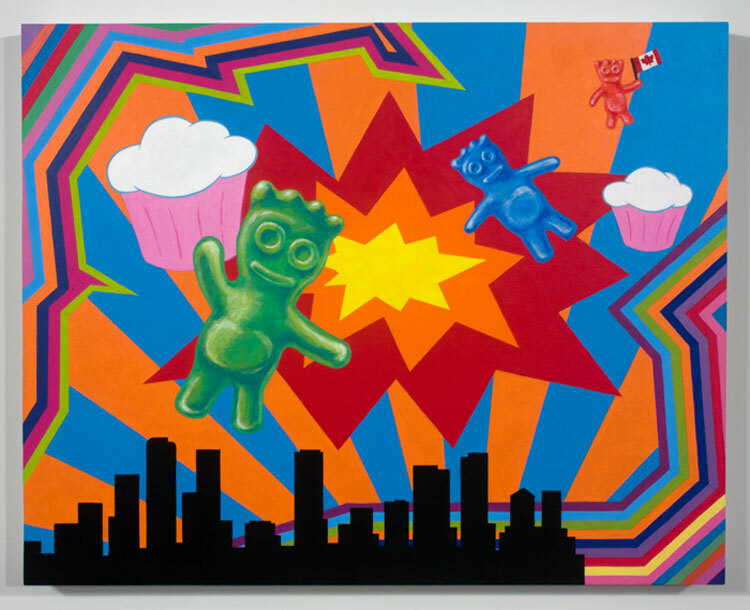 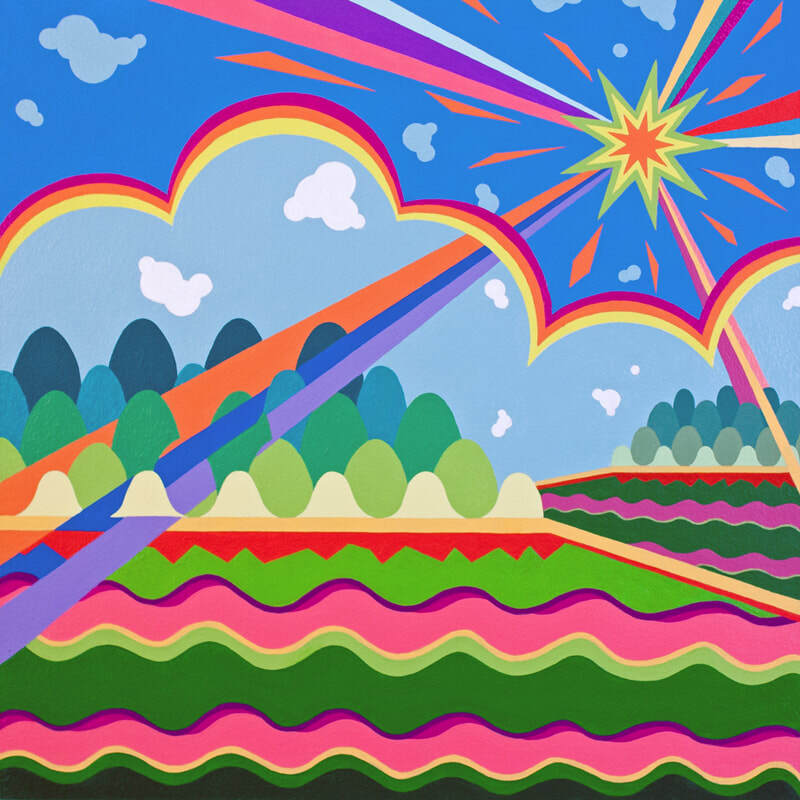 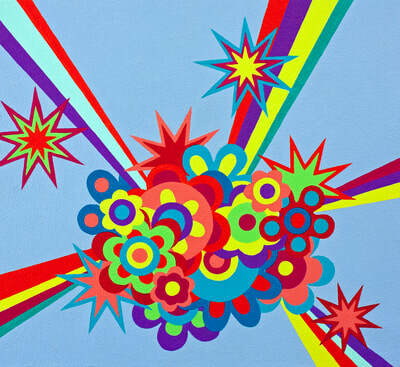 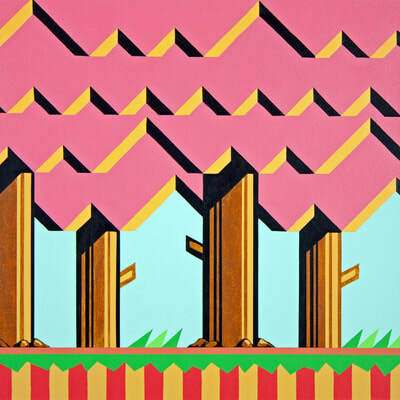 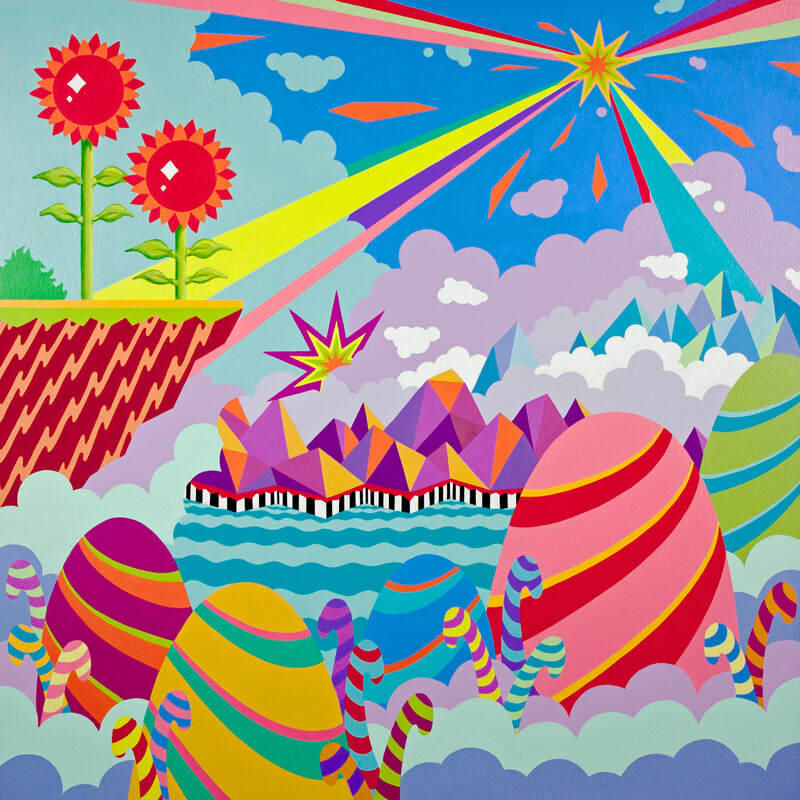 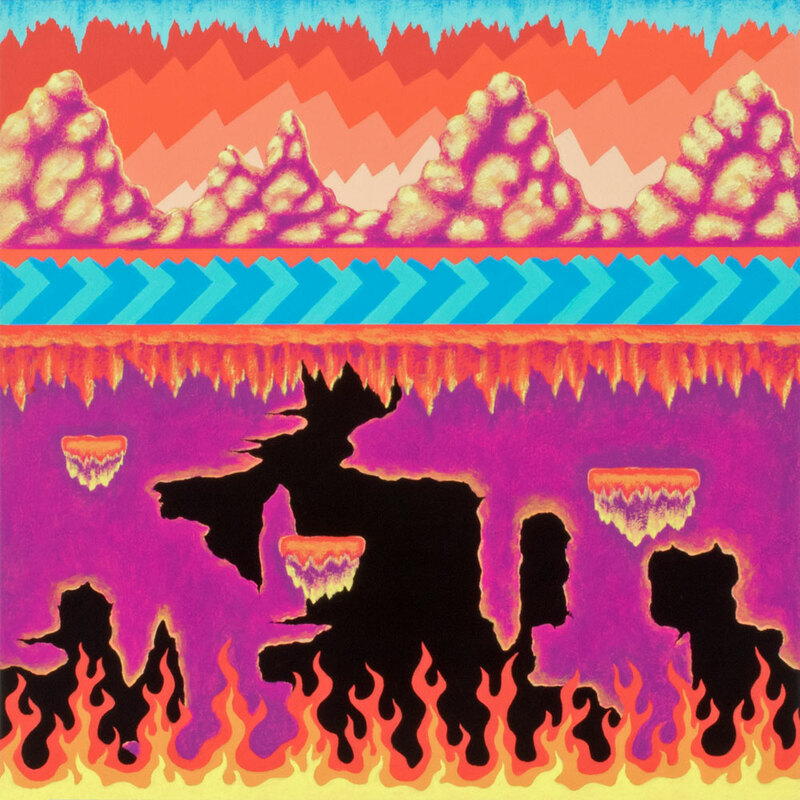 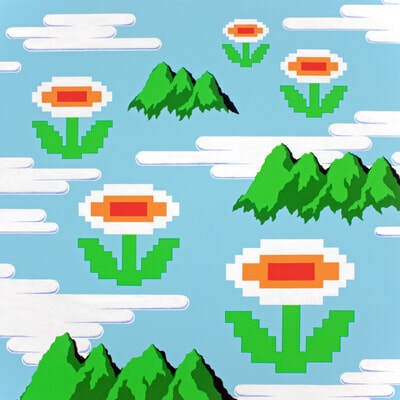 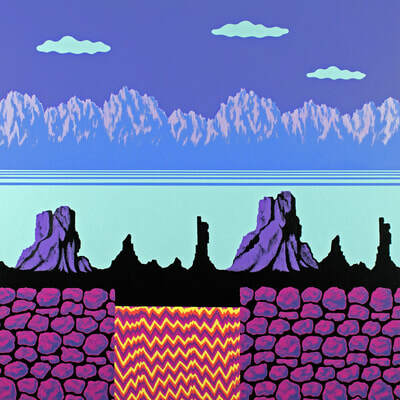 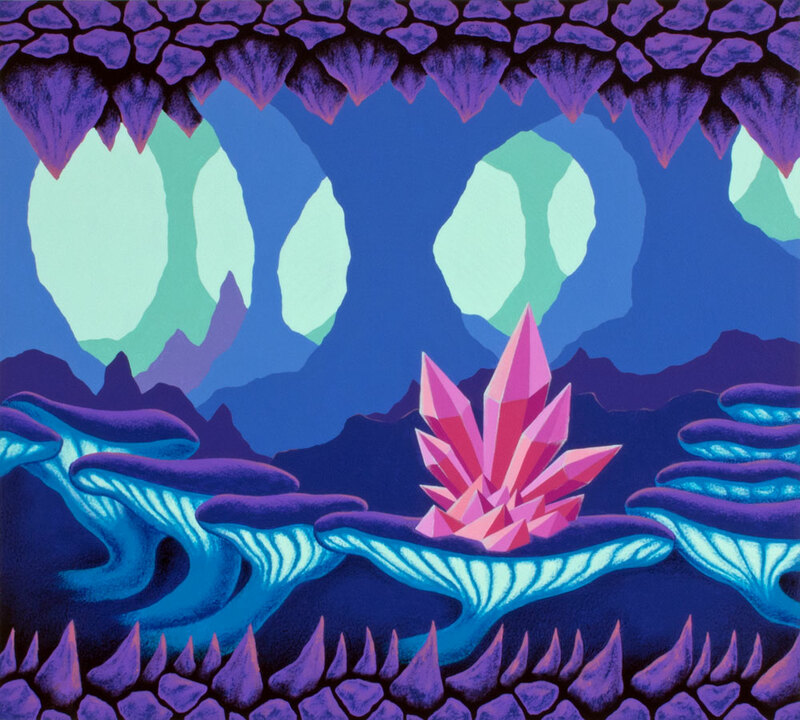 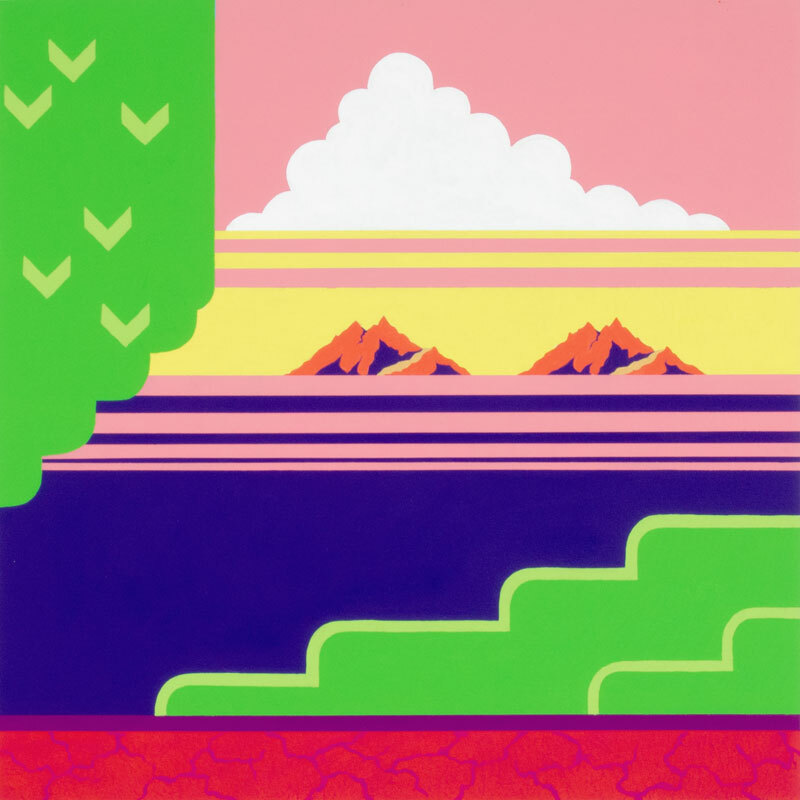 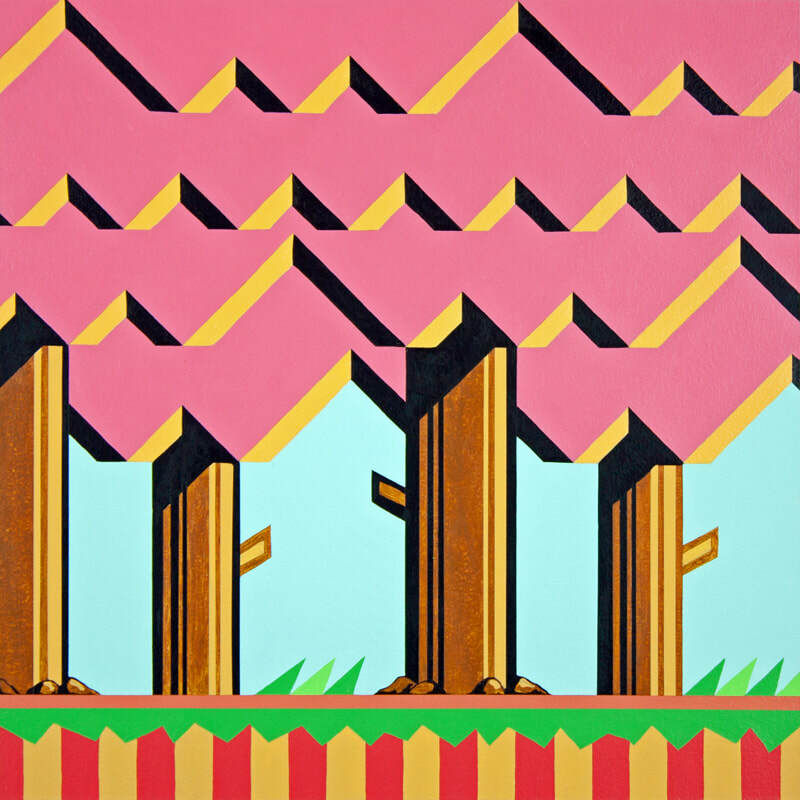 This series of paintings draw inspiration from a variety of sources, such as retro 8-bit Nintendo video games, pinball machine graphics, toy packaging designs, as well as from 1960’s psychedelic imagery and Pop Art aesthetics. 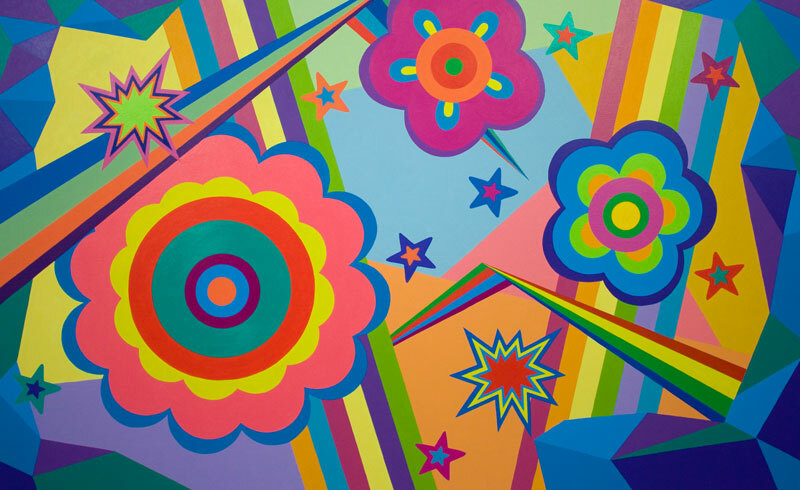 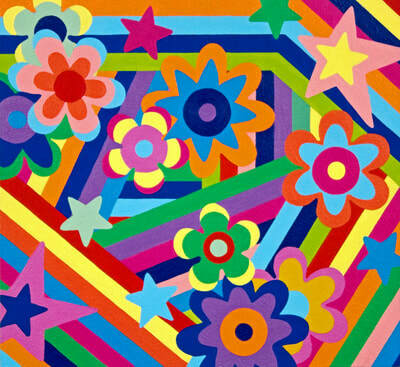 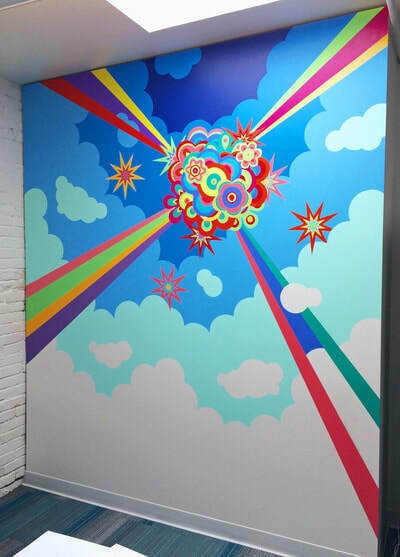 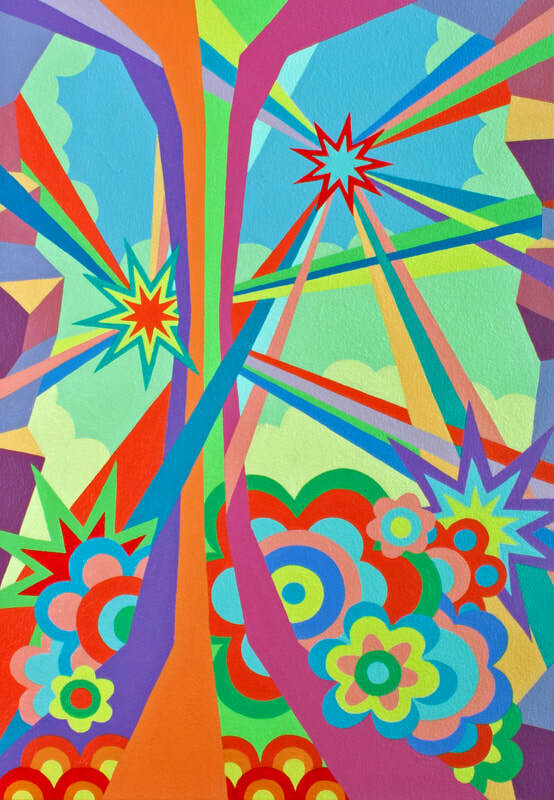 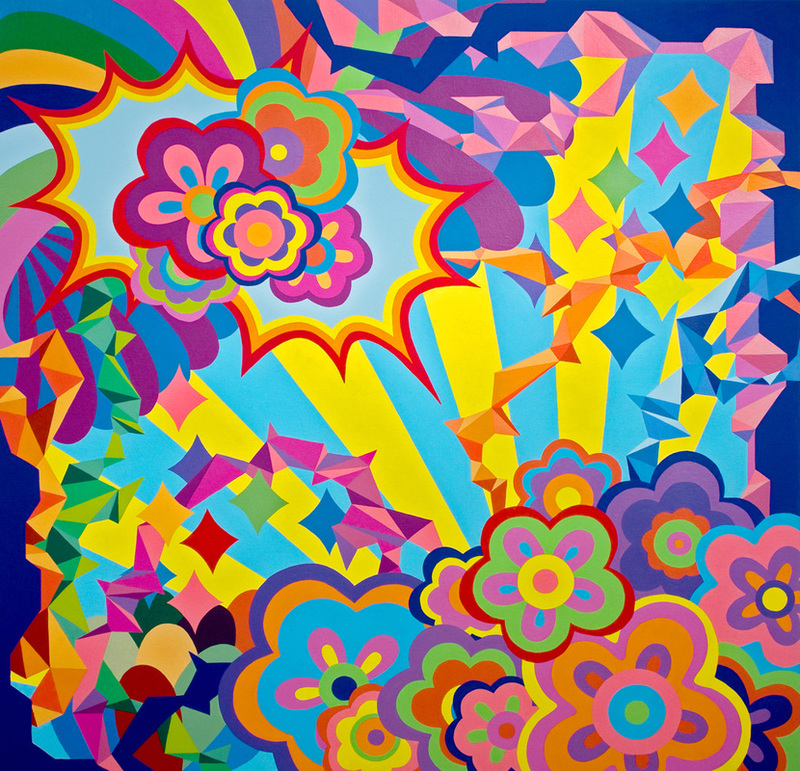 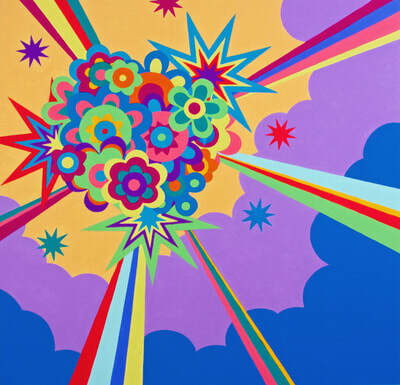 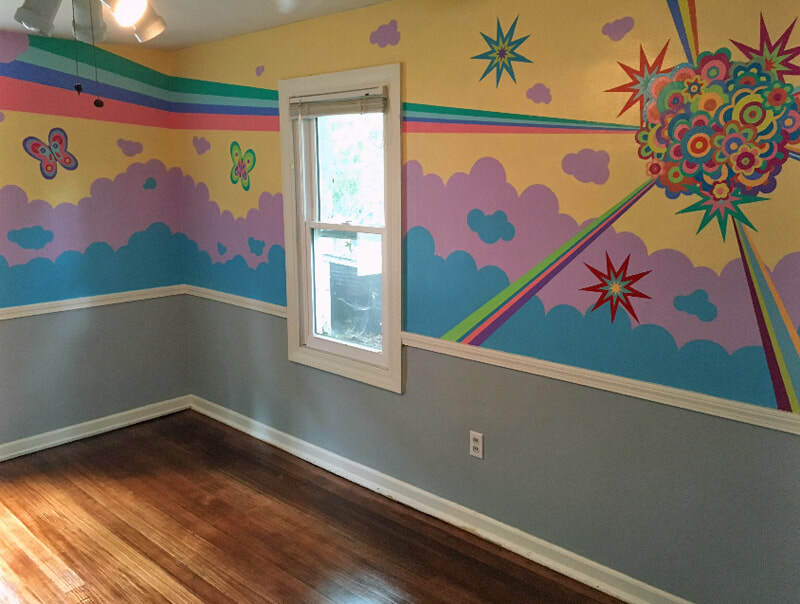 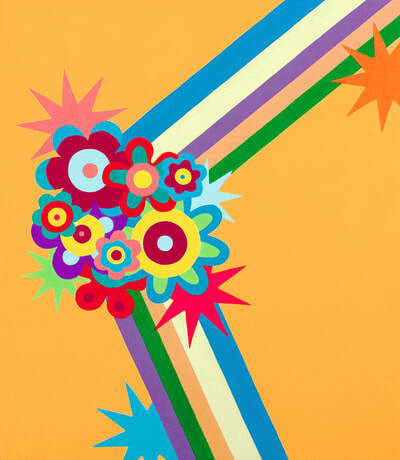 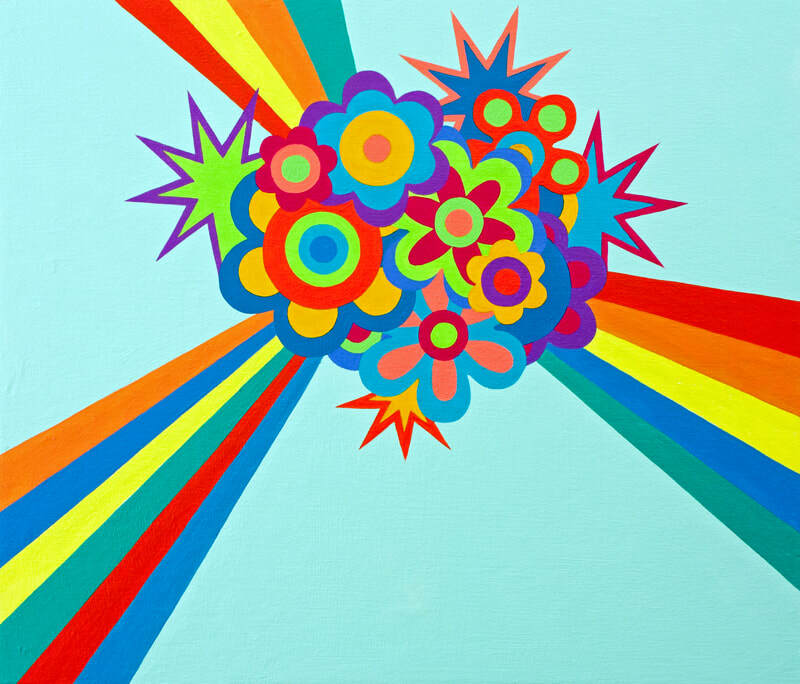 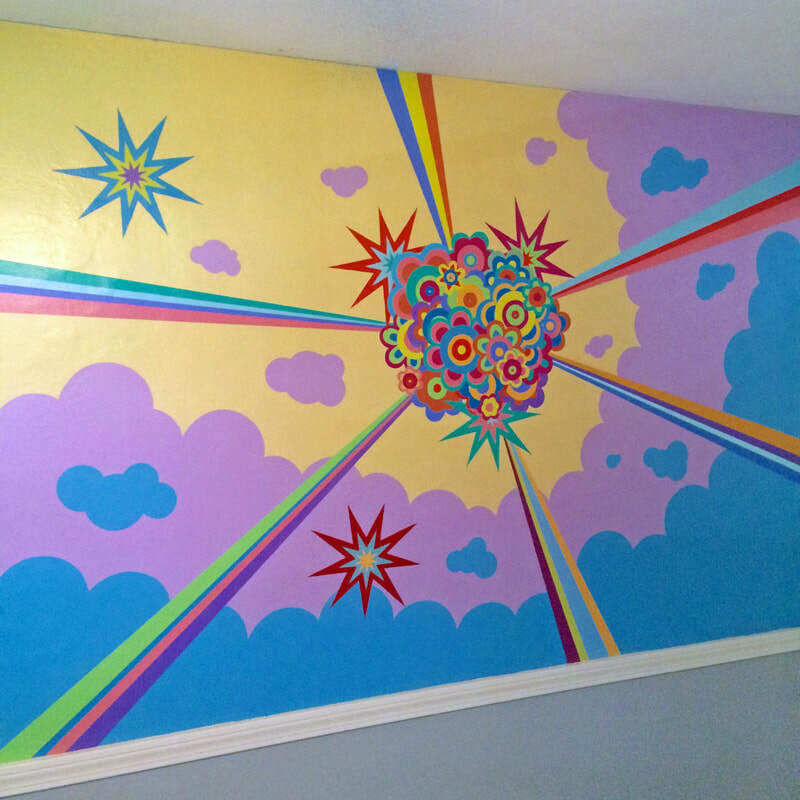 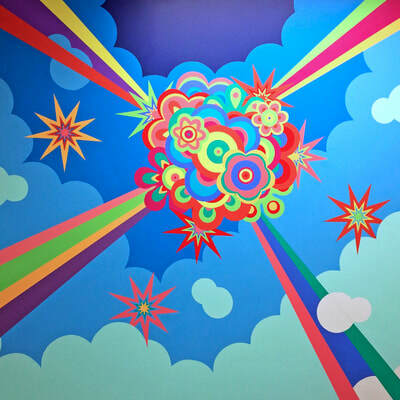 These personally nostalgic references have become important source material that have motivated experiments with recurring themes and visual elements, such as vintage 1960’s psychedelic inspired flowers, star bursts, multi-colored light rays, rainbows, and geometric patterns. 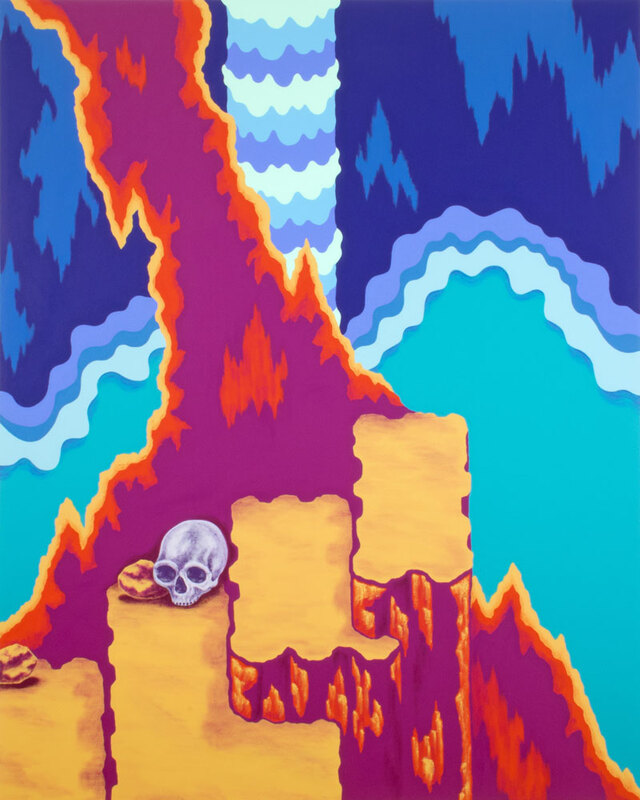 I feel as if each painting becomes like a screenshot of a new level of an expansive video game I’m creating for myself. **Click on images to enlarge.